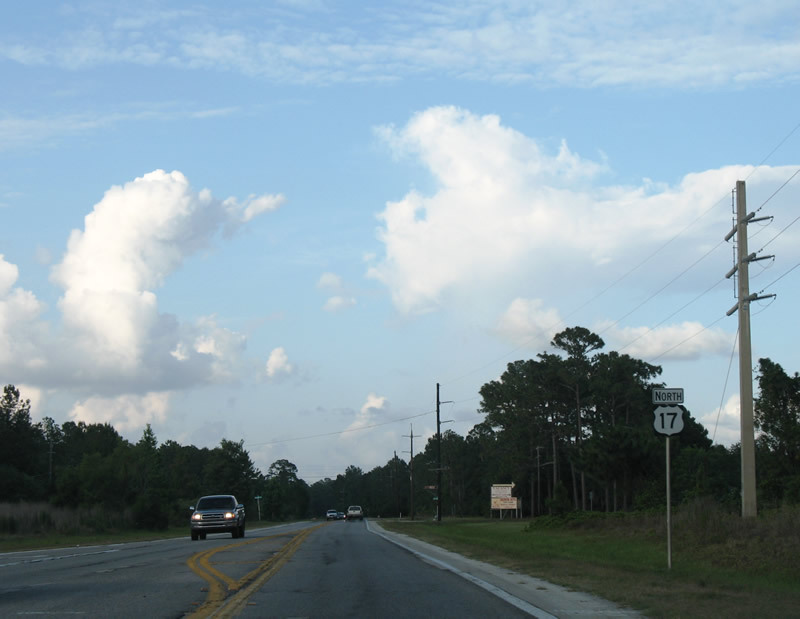 Two lanes of U.S. 17 continue north from the Volusia County line toward Crescent City in forested south Putnam County. Photos taken 06/12/08. 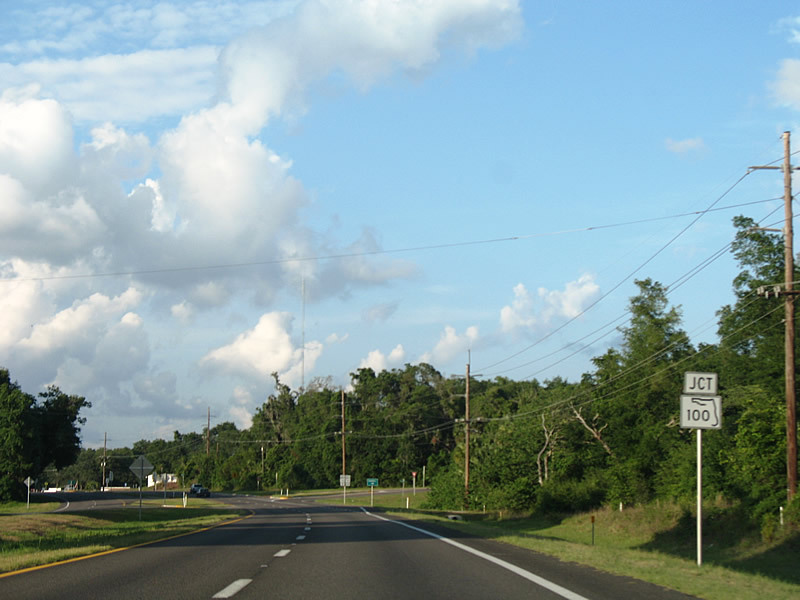 U.S. 17 enters the city limits of Crescent City. The community lies along the west lake shore of Crescent Lake. Photos taken 06/12/08. 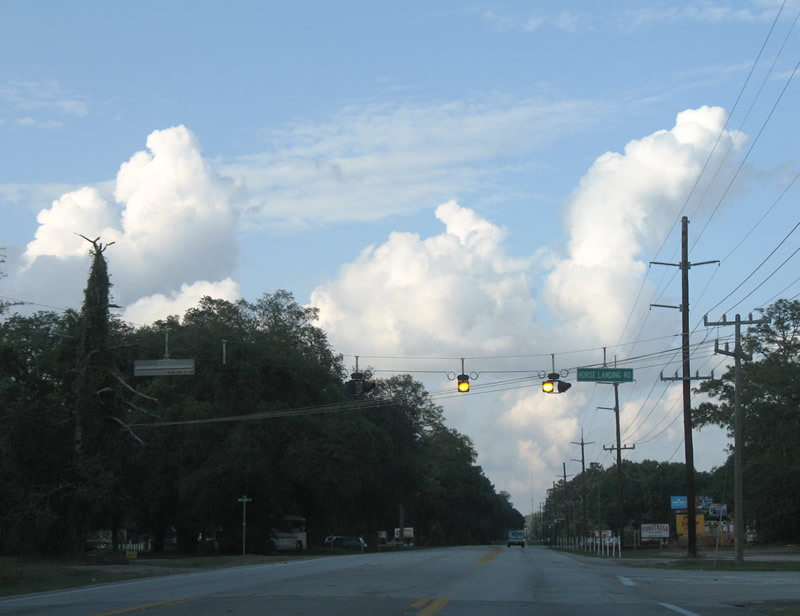 Crescent City's lone traffic light is at the U.S. 17 (Summit Street) intersection with Central Avenue in downtown. Central Avenue leads east to the lake and west to Grand Rondo East Drive north. Photo taken 06/12/08. 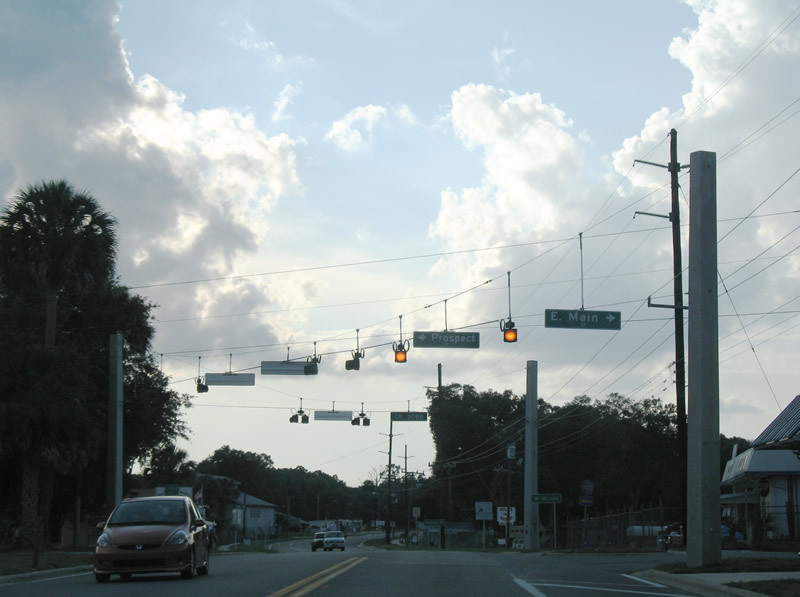 U.S. 17 (Summit Street) north of Central Avenue. 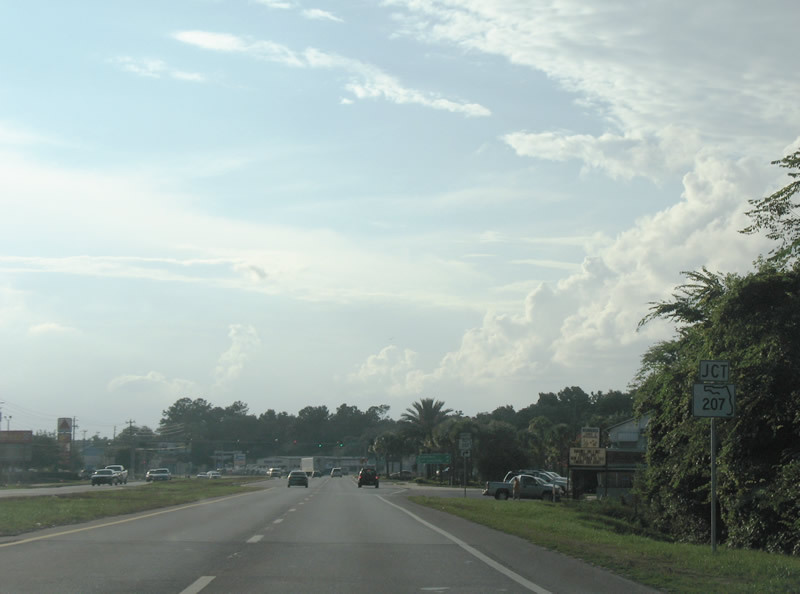 The highway carries four lanes through Crescent City. Photo taken 06/12/08. 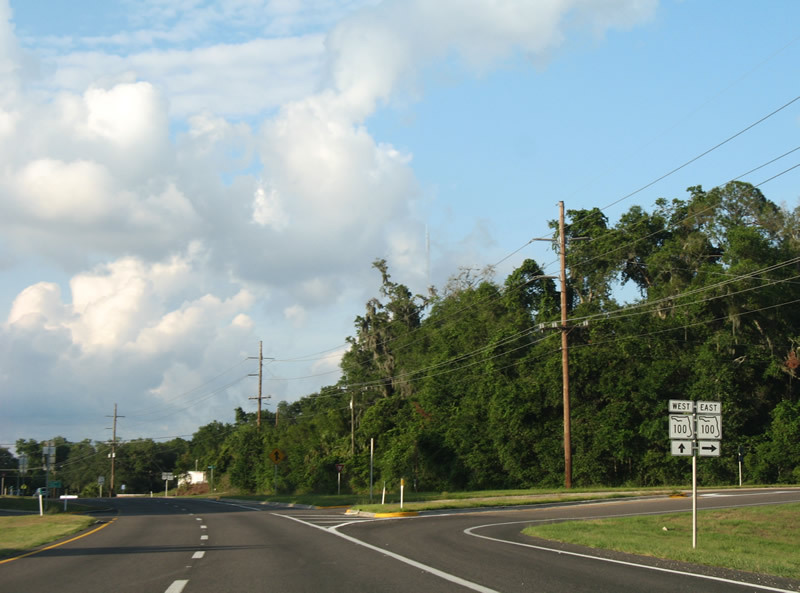 Putnam County 308 (Vernon Avenue) represents Crescent City's only other numbered route. The county road follows Vernon avenue west to Huntington Road west through the city limits. Photo taken 06/12/08. 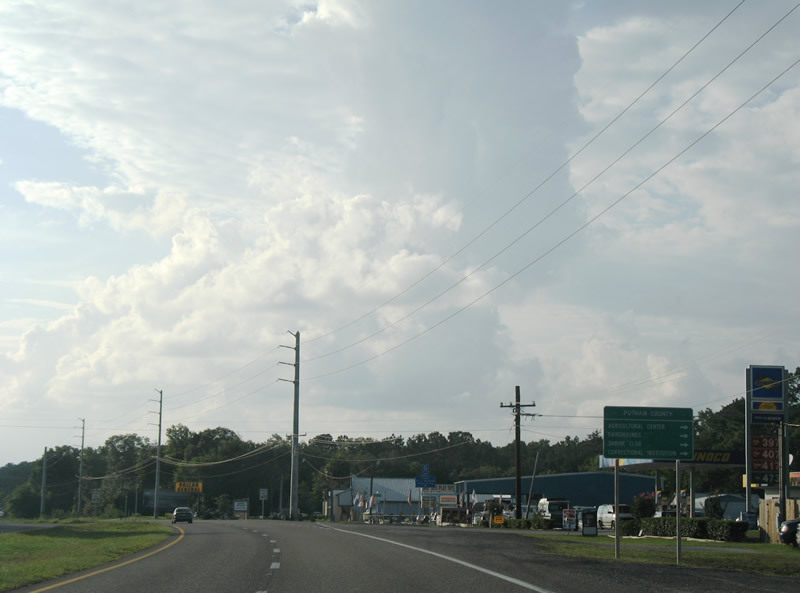 U.S. 17 north at Putnam County 308 (Vernon Avenue) west to Huntington. 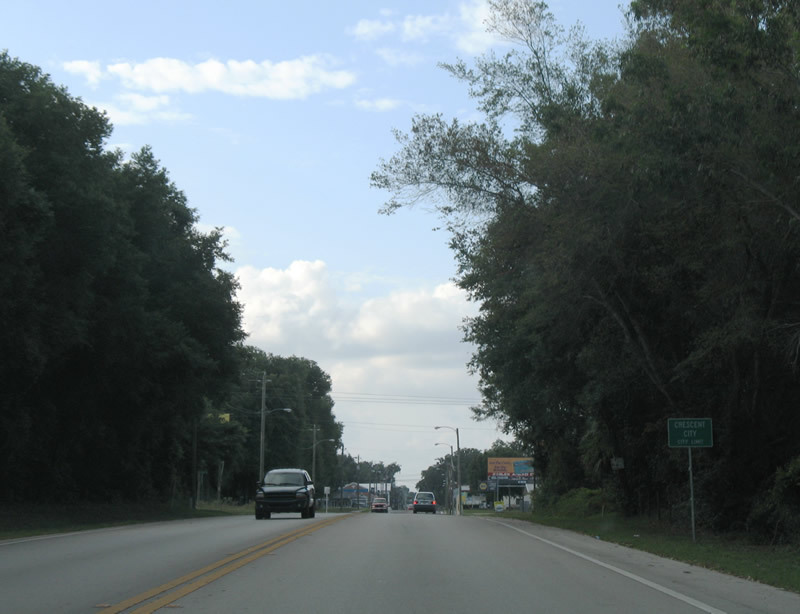 Putnam County 308 travels 8.45 miles between Summit Street and Putnam County 309 at Fruitville. 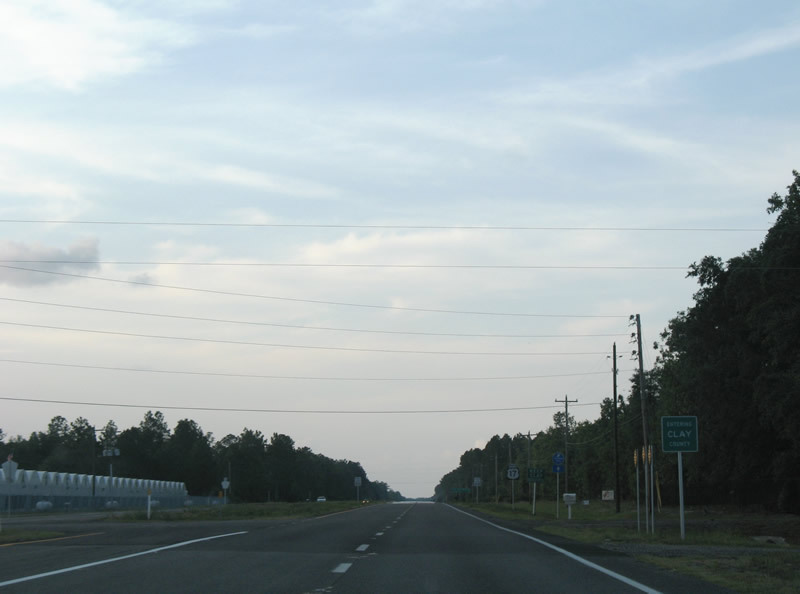 Putnam County 309 connects the route with Georgetown and Welaka State Forest. Photos taken 06/12/08. Northbound reassurance marker posted after Vernon Avenue in north Crescent City. Photo taken 06/12/08. 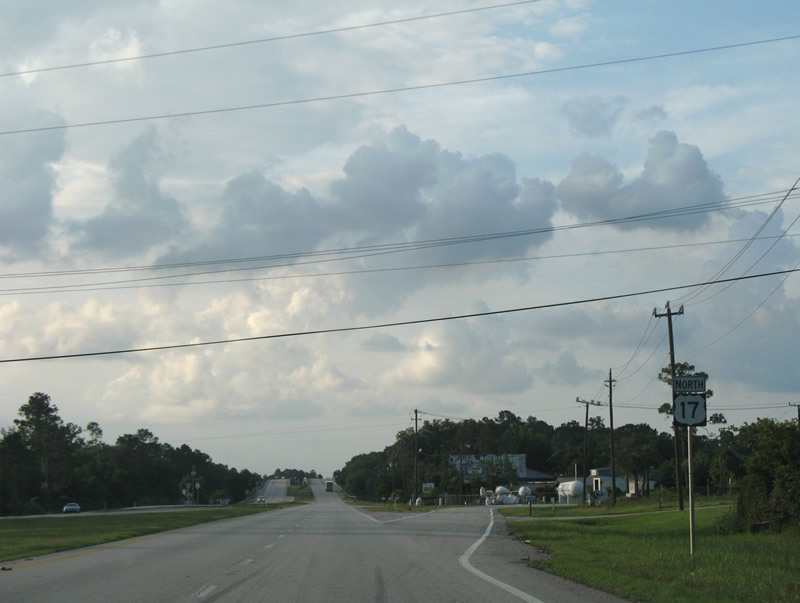 U.S. 17 again reduces to two lanes north of Crescent City. Photo taken 06/12/08. 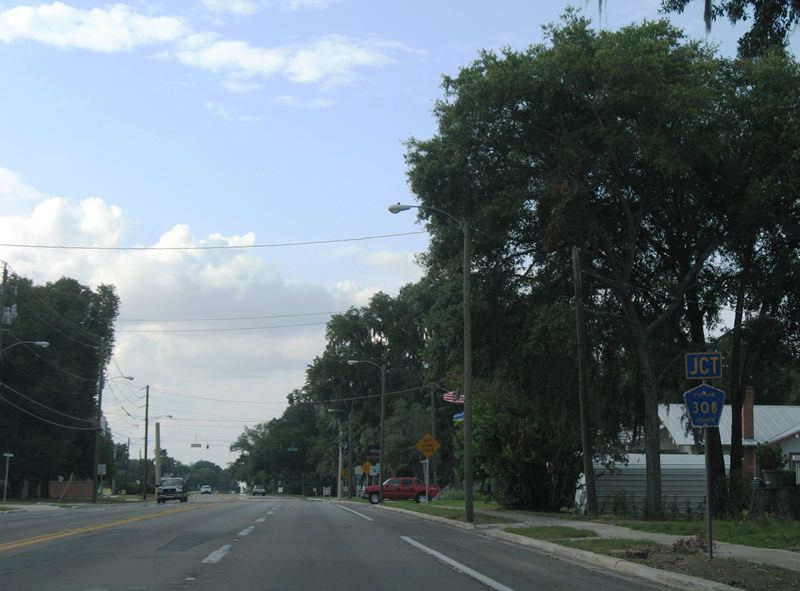 Now within the city limits of Pomona Park, U.S. 17 next meets Putnam County 308B (Main Street). Photo taken 06/12/08. Putnam County 308B follows Main Street west on its 5.24-mile route to Putnam County 309 (3rd Avenue) in Welaka. 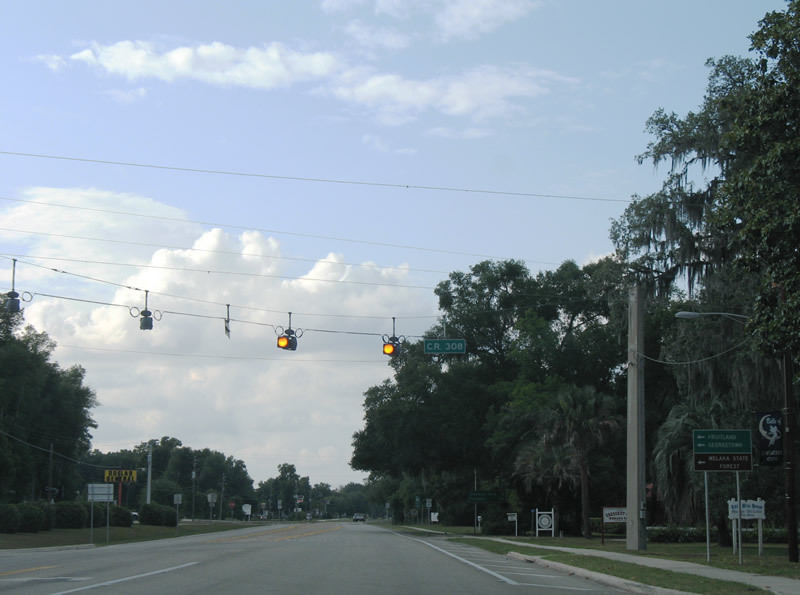 Prospect Avenue ties into this set of flashers from the southwest while Main Street continues northeast to Pomona Landing Road. Photos taken 06/12/08. 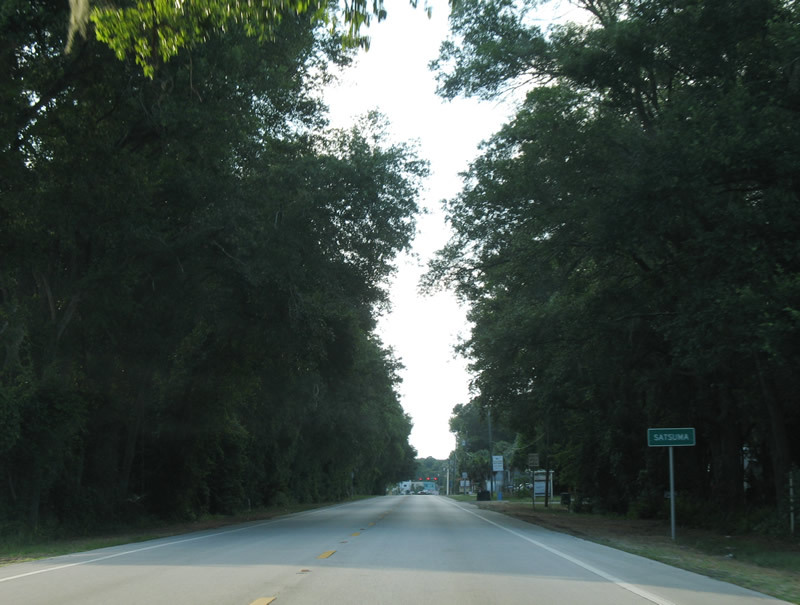 Continuing northwest through Pomona Park on the 17-mile drive to the Putnam County seat of Palatka. Photos taken 06/12/08. 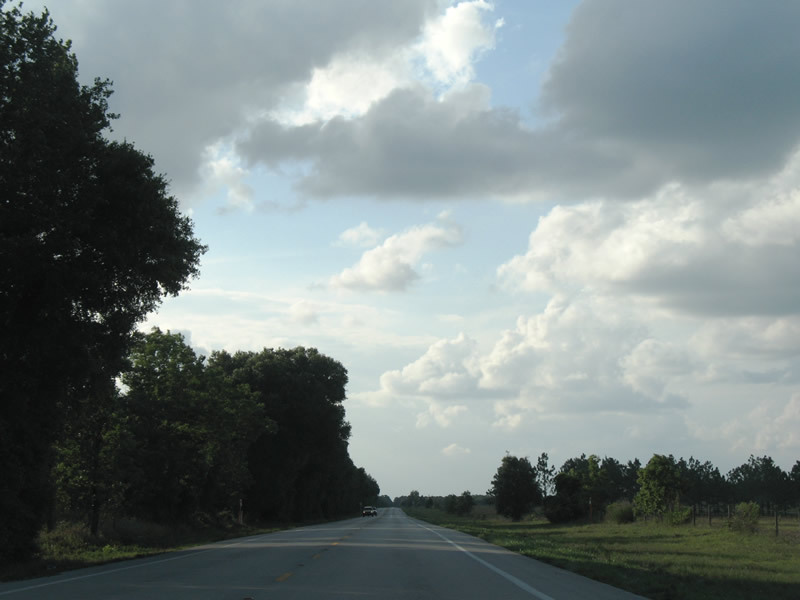 Rural scenes along U.S. 17 north between Pomona Park and Sisco. Photos taken 06/12/08. 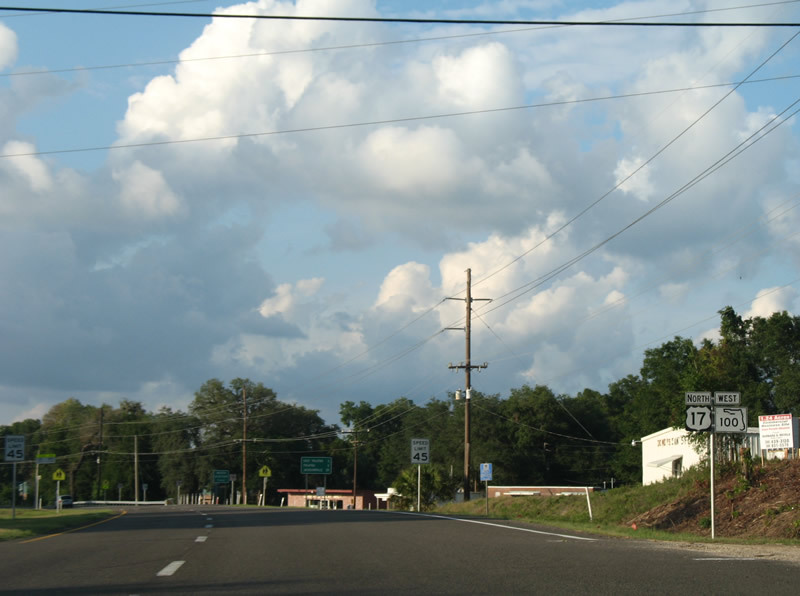 Entering the rural community of Satsuma, where U.S. 17 takes its northeastern turn. Photo taken 06/12/08. 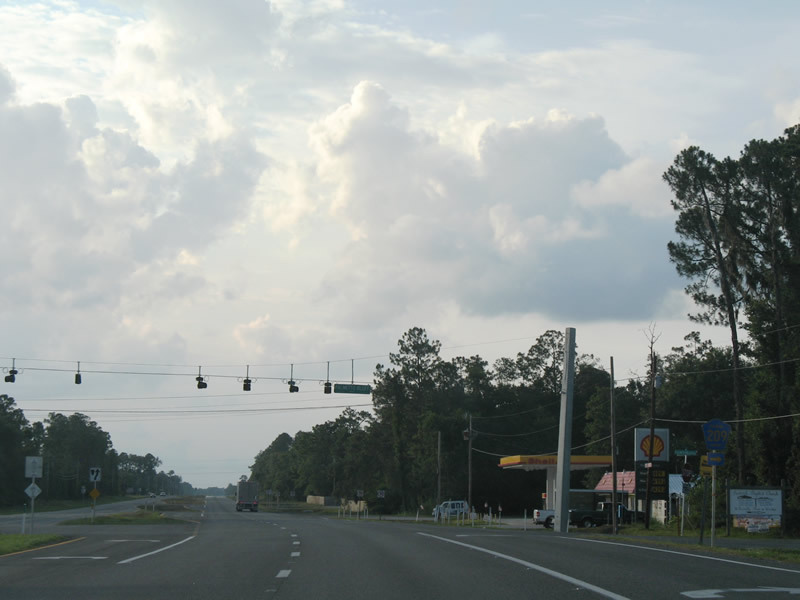 Putnam County 309 leads north from Georgetown 12.55 miles to U.S. 17 at Satsuma. Photo taken 06/12/08. Curving northeastward now, U.S. 17 next meets Putnam County 309B (Buffalo Bluff Road). Photo taken 06/12/08. 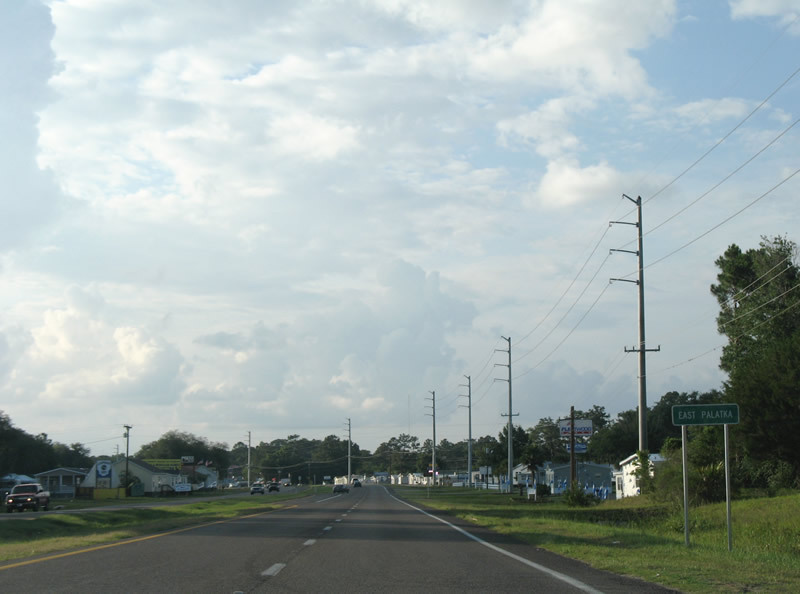 Putnam County 309B travels just 2.14 miles northwest to a mobile home park community along the St. Johns River from U.S. 17 at Buffalo Bluff. Photo taken 06/12/08. Reassurance shield posted along U.S. 17 north in Buffalo Bluff. Photo taken 06/12/08. 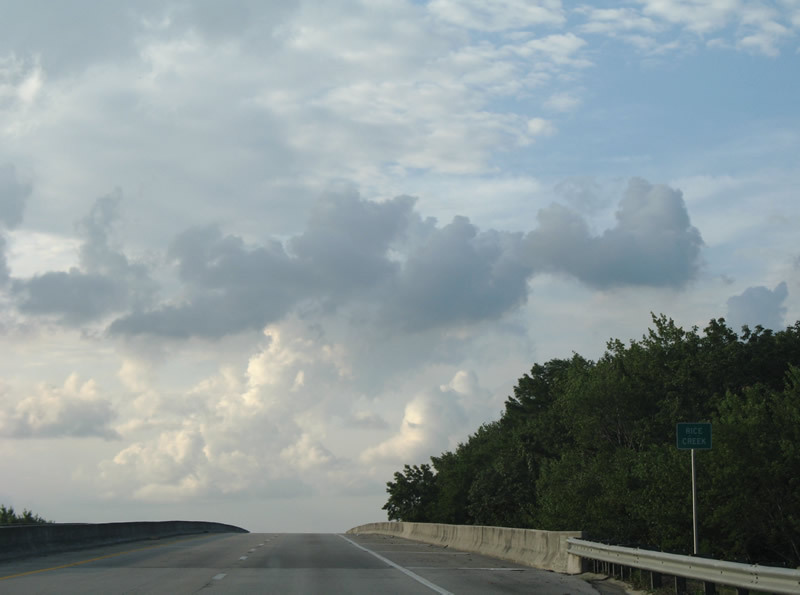 Approaching the Dunns Creek high level bridge of U.S. 17 north. Photos taken 06/12/08. 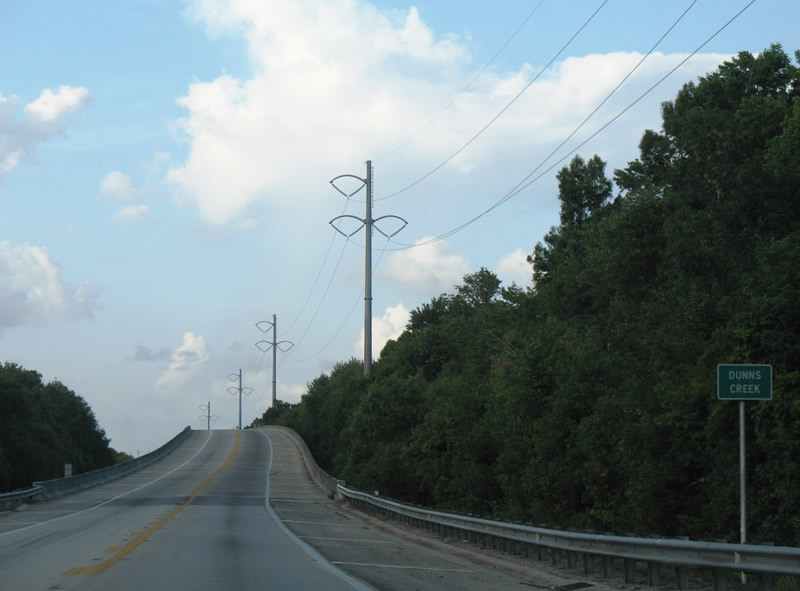 A modern bridge with full shoulders carries two lanes of U.S. 17 over Dunns Creek into the San Mateo area. Dunns Creek joins Crescent Lake with the St. Johns River. Photos taken 06/12/08. U.S. 17 shield posted after the route touches down from the Dunns Creek Bridge and San Mateo Road. Photo taken 06/12/08. 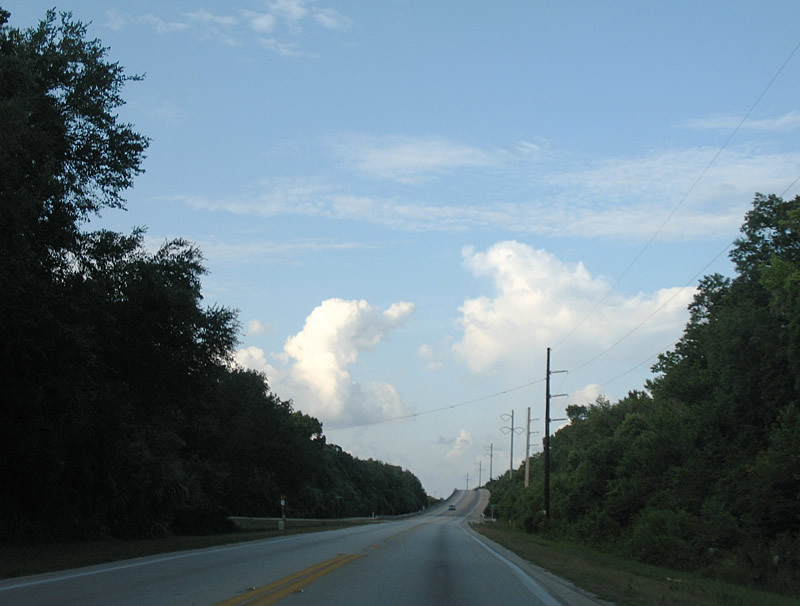 Horse Landing Road spurs south from U.S. 17 to Sutherlands Still on Dunns Creek. Photo taken 06/12/08. 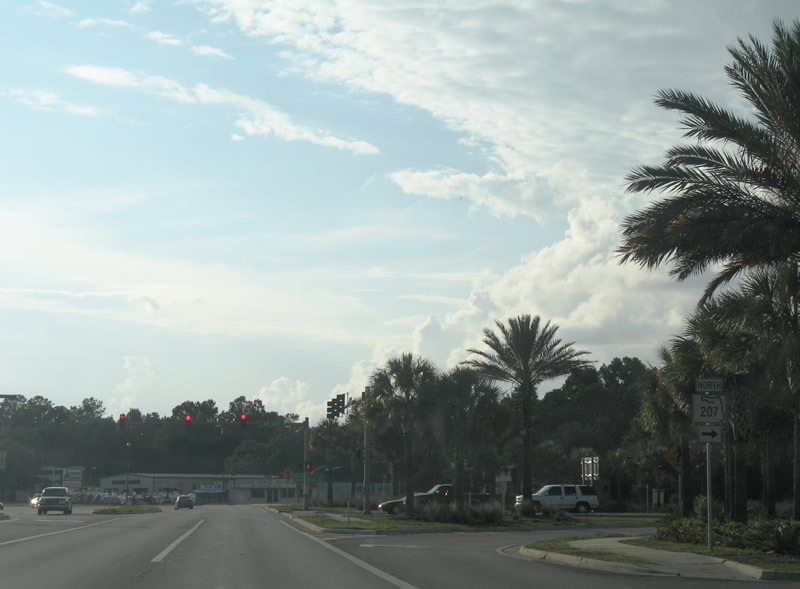 San Mateo is centered around the merge of Florida 100 with U.S. 17 north. Photo taken 06/12/08. 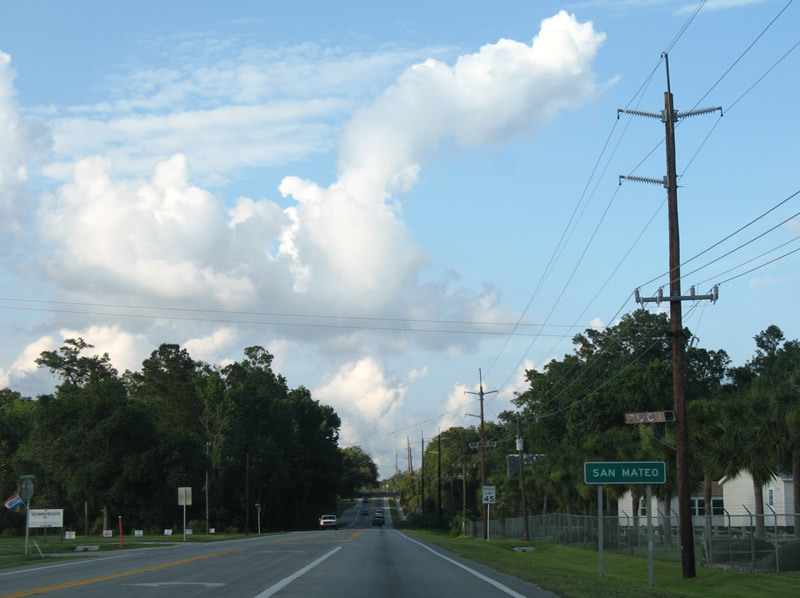 Florida 100 enters San Mateo from Bunnell to the southeast. 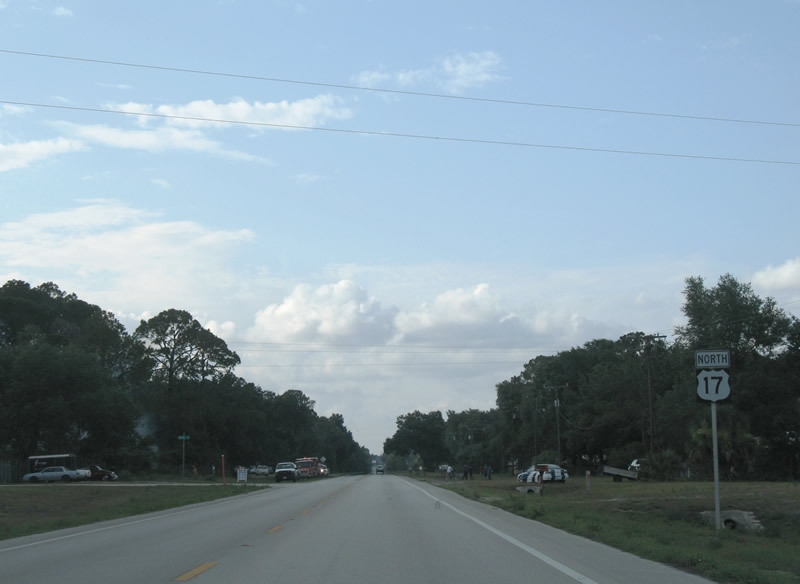 Unsigned Florida 20 travels with the route from the Flagler County seat through to a merge with U.S. 17 and unsigned Florida 15 north. Photo taken 06/12/08. 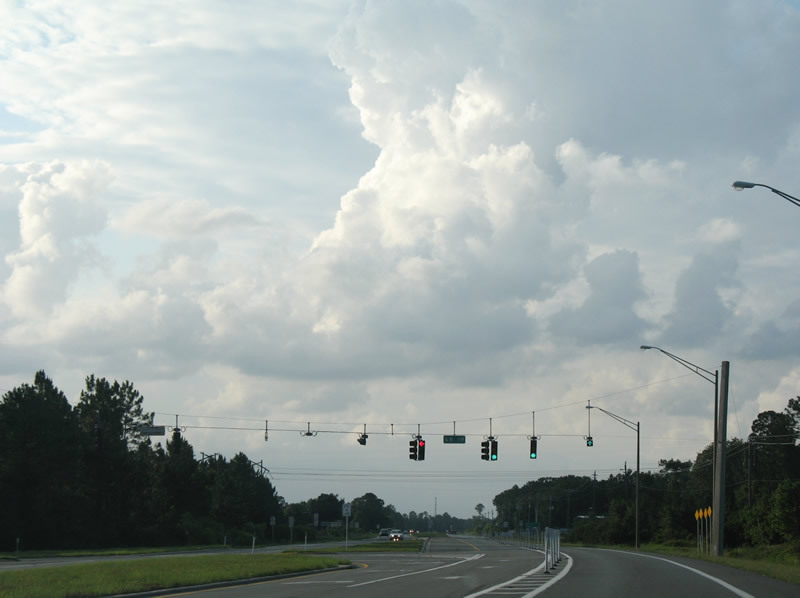 U.S. 17 widens to four lanes in anticipation of joining with Florida 100 west. 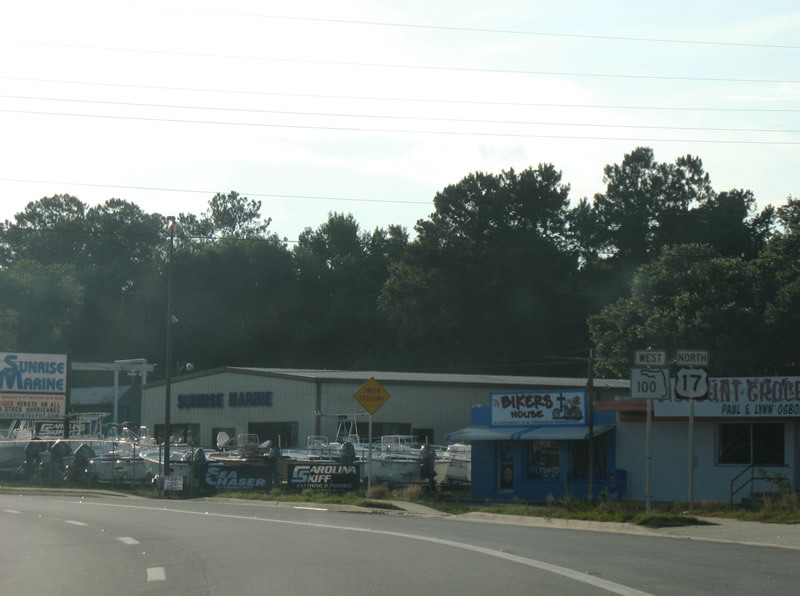 Florida 100 links Palatka with Palm Coast and Flagler Beach. Photo taken 06/12/08. 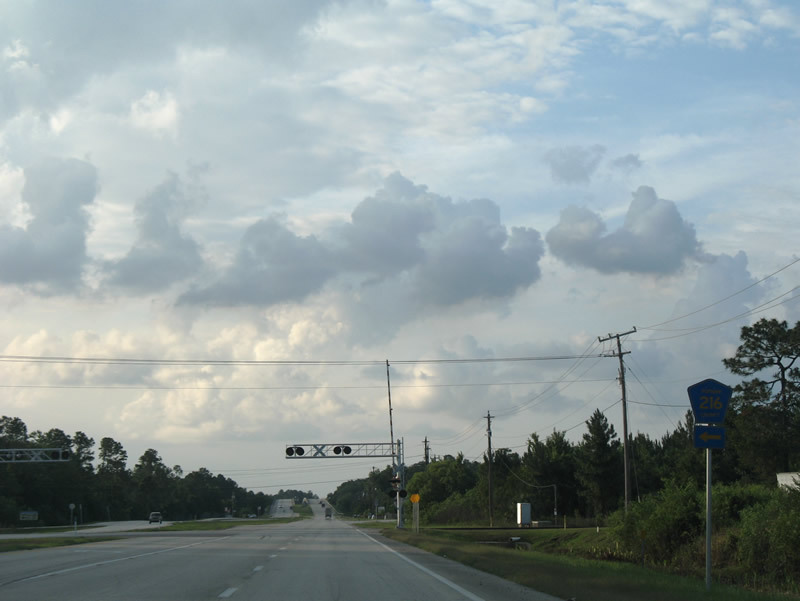 U.S. 17 north & Florida 100 turn northward toward East Palatka. Unsigned Florida 15 north & 20 west tag along for the ride. Photos taken 06/12/08. 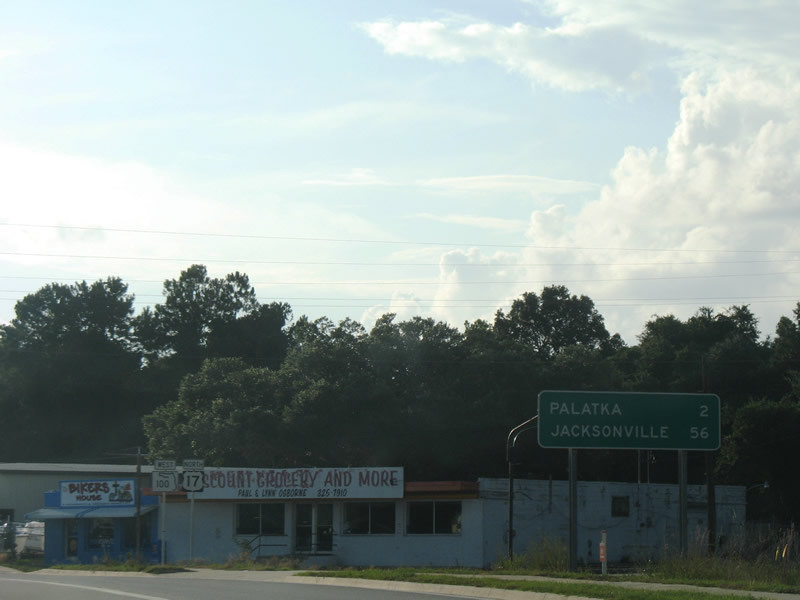 A truck weigh station resides within the median of U.S. 17 & Florida 100 ahead of East Palatka. Photos taken 06/12/08. 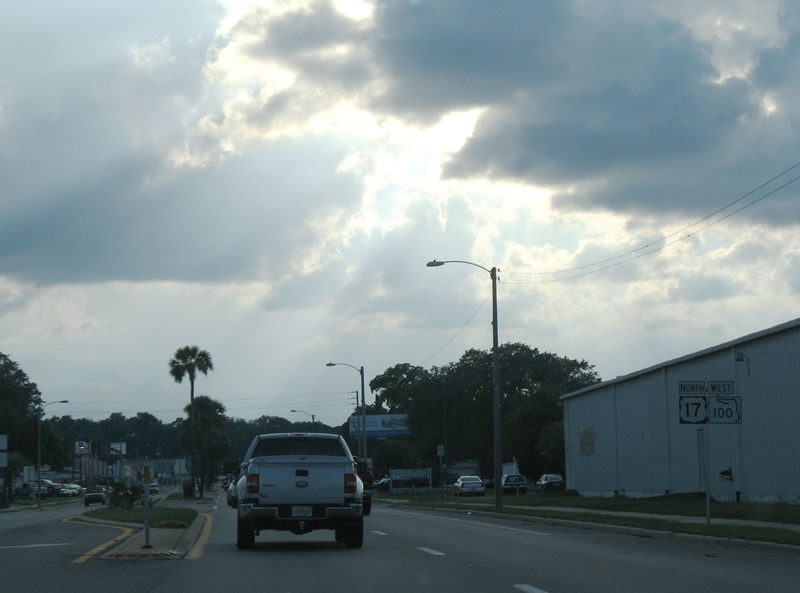 Motorists curve westward through East Palatka along U.S. 17 north & Florida 100 west. Photo taken 06/12/08. 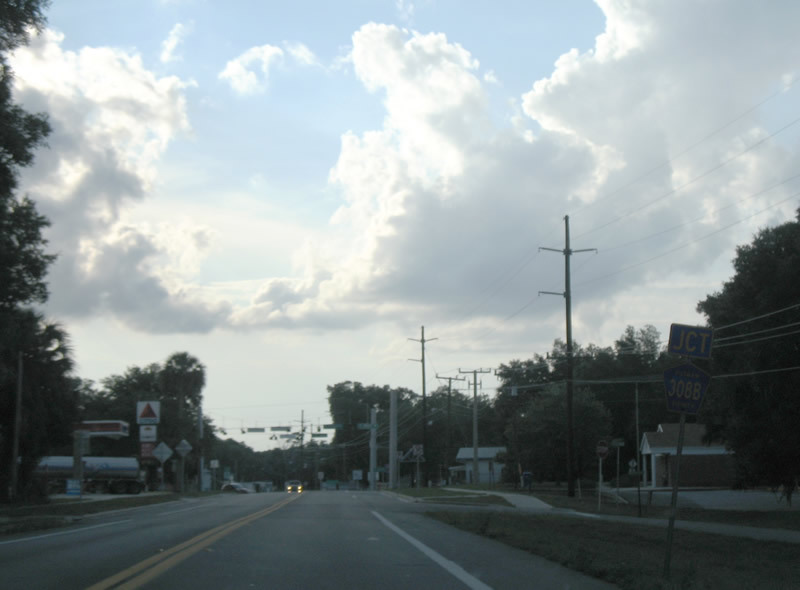 A guide sign for Putnam County facilities directs motorists east onto Yelvington Road from U.S. 17 north & Florida 100 west. Photo taken 06/12/08. 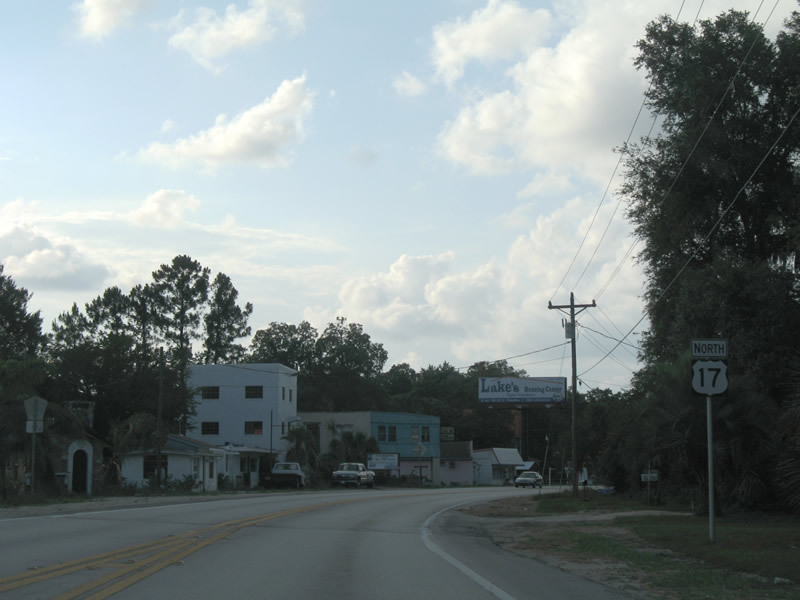 Florida 207 enters East Palatka from Hastings and rural west St. Johns County. Photo taken 06/12/08. 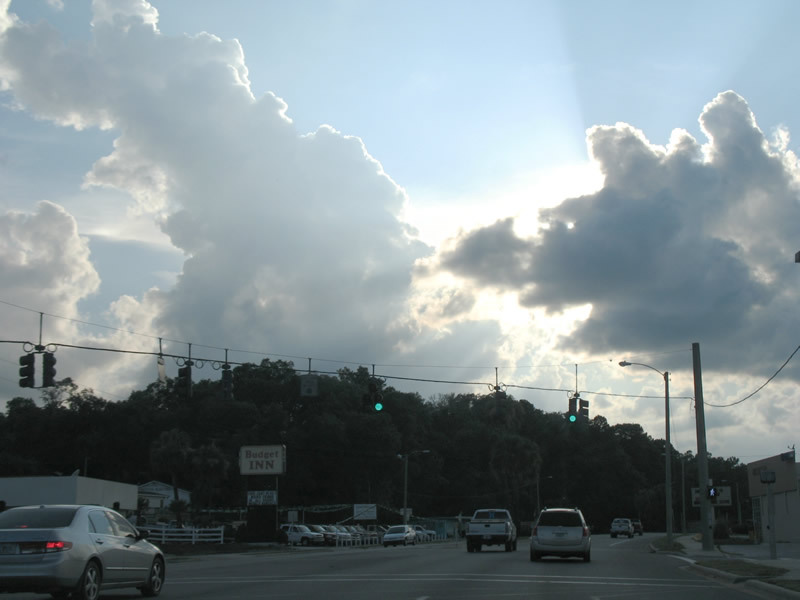 Florida 207 joins Putnam County with St. Augustine and St. Augustine Beach on the coast. The route travels 6.67 miles to Hastings. Photo taken 06/12/08. 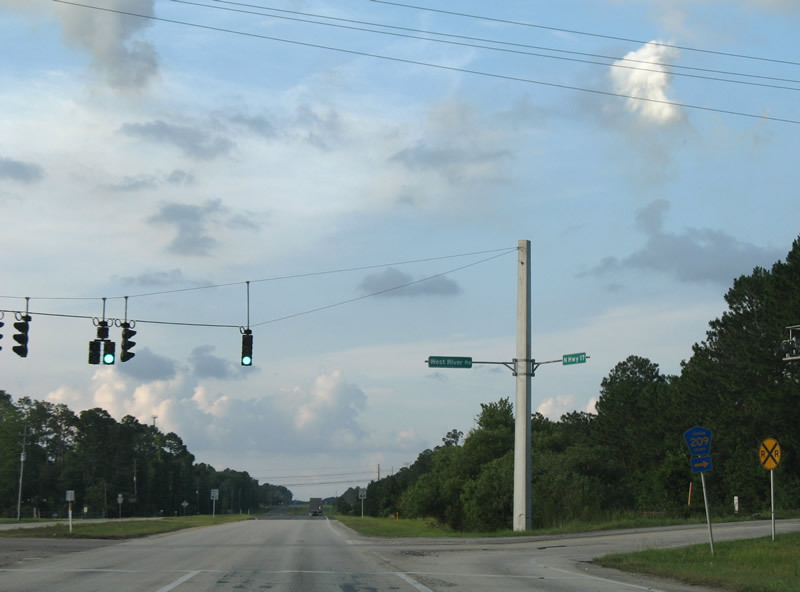 A traffic light governs the movements of U.S. 17 & Florida 100 with Florida 207's southern terminus. 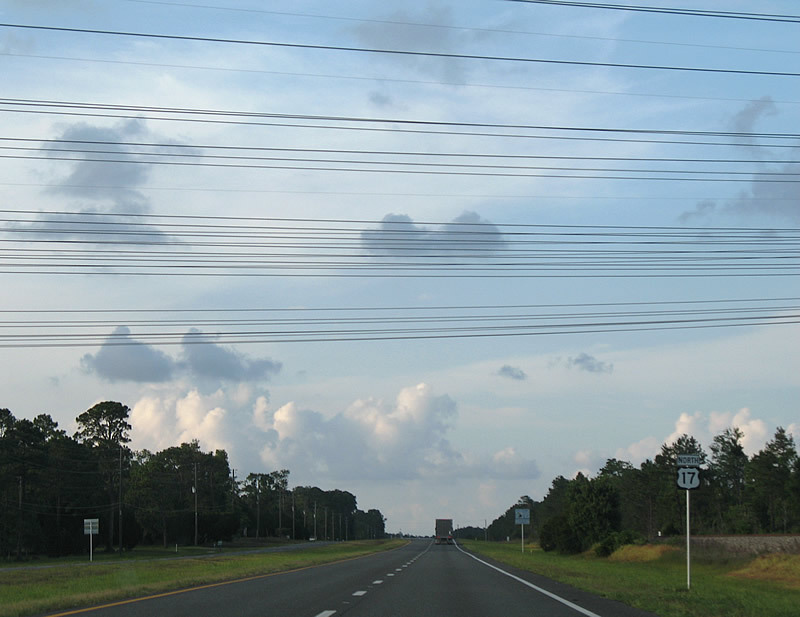 Florida 207 provides two connections with Interstate 95, one via Florida 206 east from Hastings. Photo taken 06/12/08. 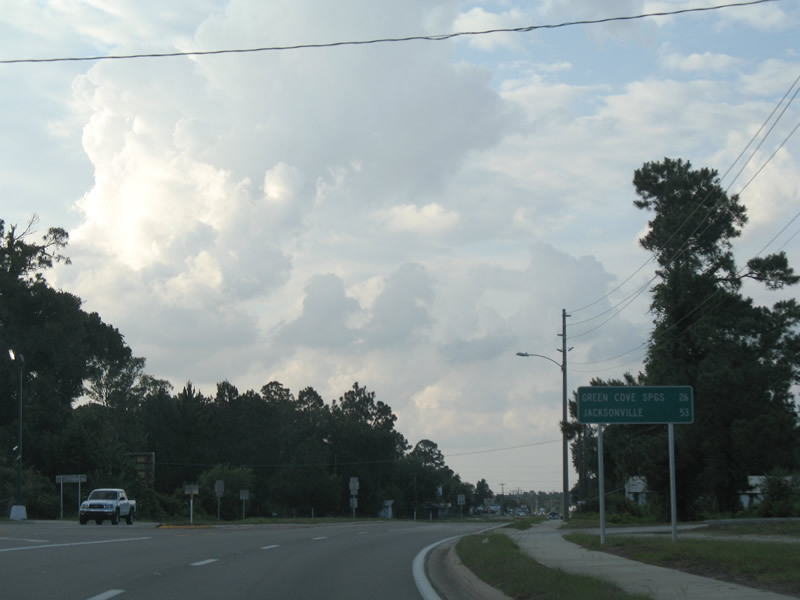 U.S. 17 & Florida 100 follow a circuitous routing through East Palatka to the St. Johns River bridge. Photos taken 06/12/08. 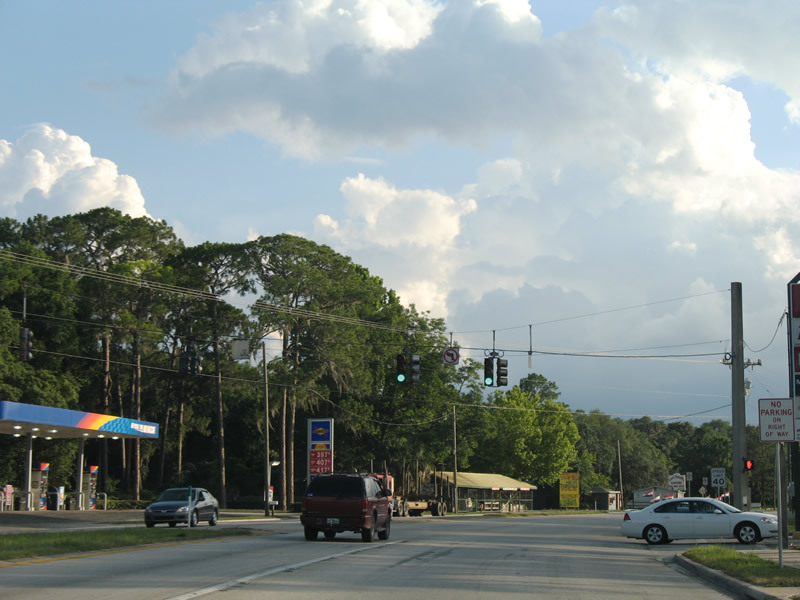 Putnam County Boulevard intersects U.S. 17 & Florida 100 in East Palatka. 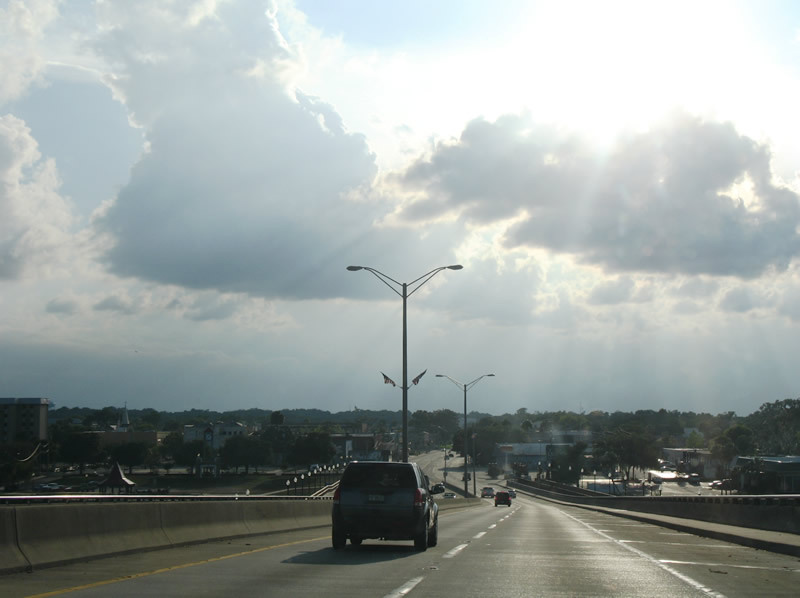 The road travels north to Putnam County 207A and Grandview. Photo taken 06/12/08. 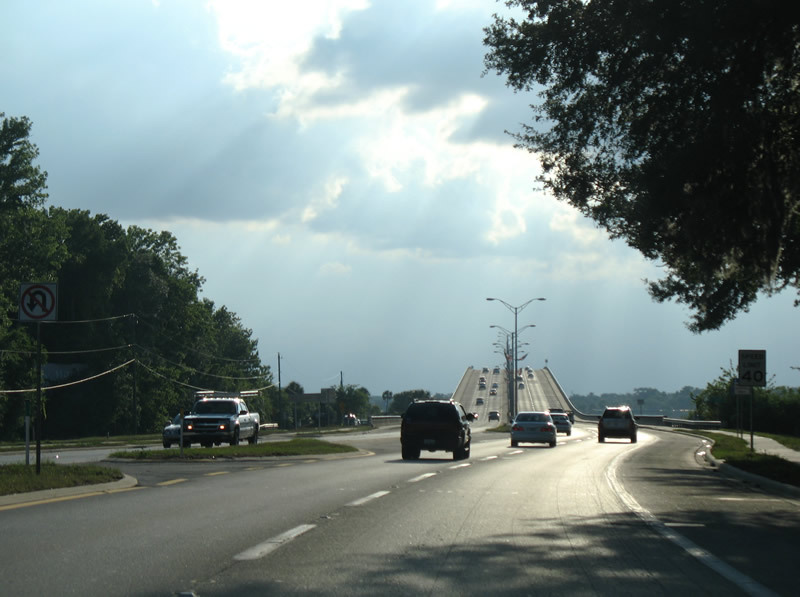 Palatka's St. Johns River Bridge is the only crossing of the river between Florida 40 and Florida 16. 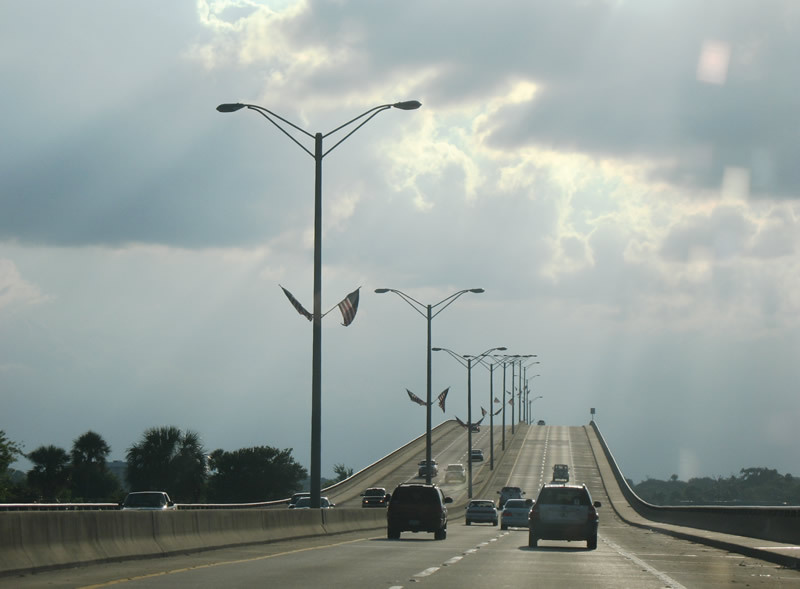 The route is also the only that carries four lanes of the three spans. Photo taken 06/12/08. 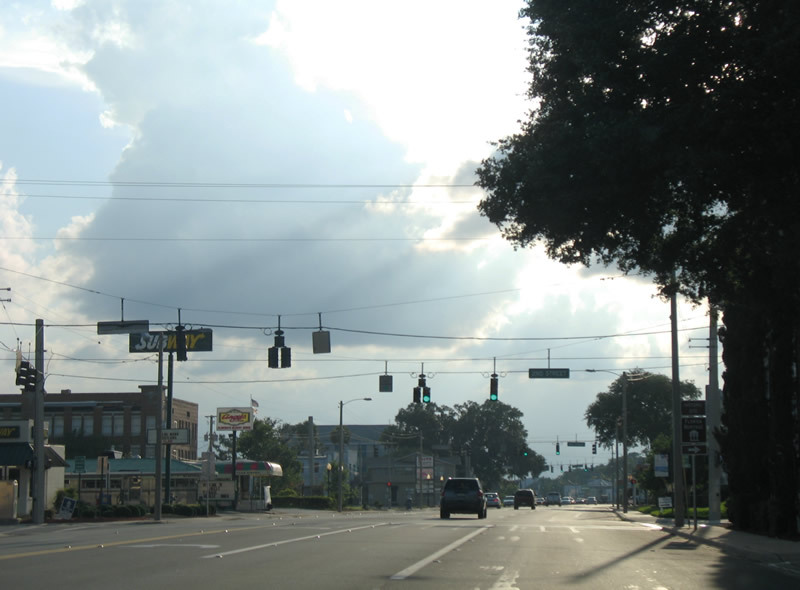 Following Reid Street, U.S. 17 & Florida 100 represent the main commercial arterial through Palatka. 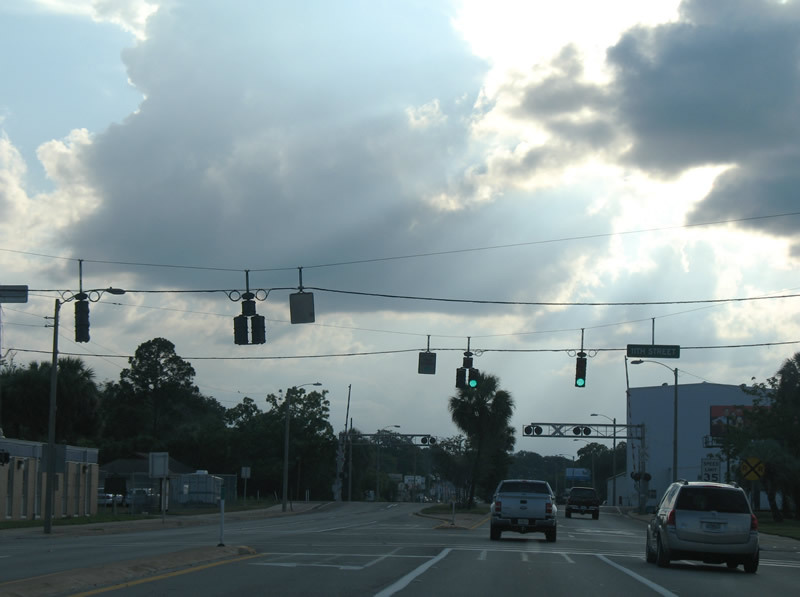 Pictured here is the signalized intersection with 2nd Street. Photo taken 06/12/08. 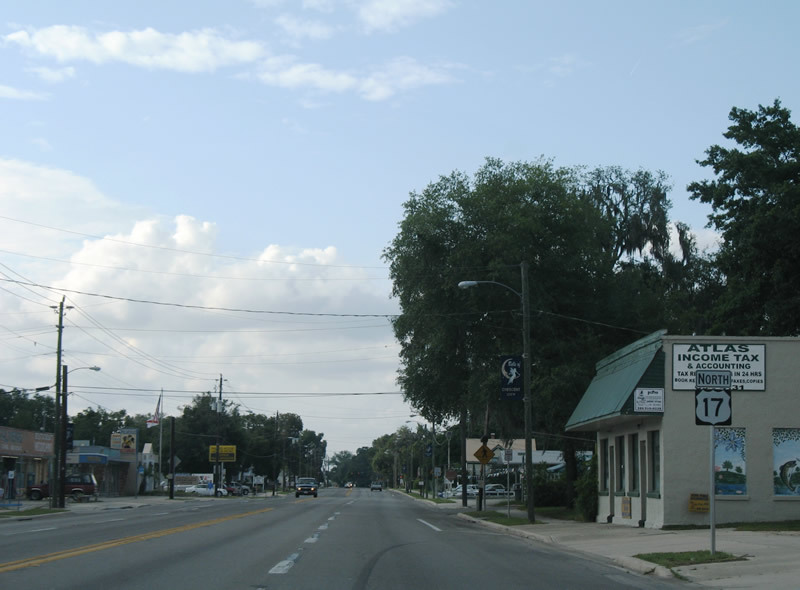 Reid Street west at 11th Street, adjacent to the Palatka station of AMTRAK. 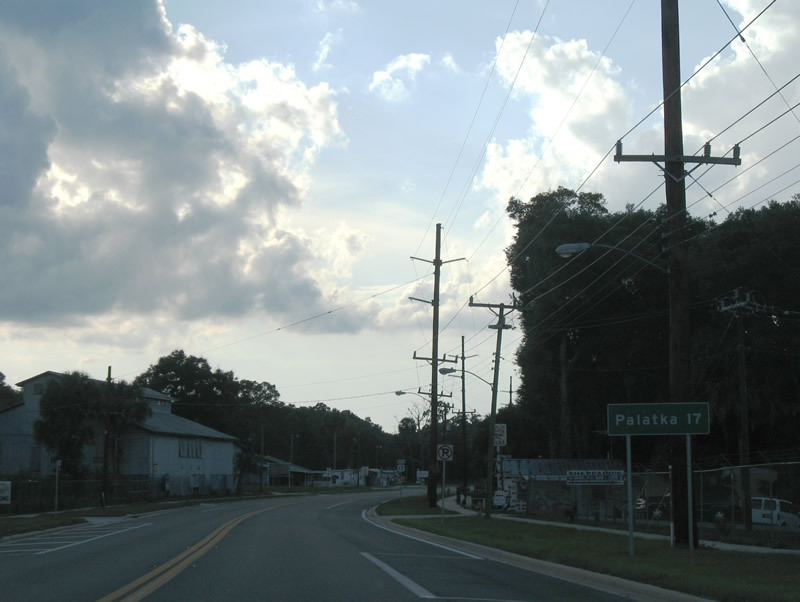 Florida 20 meanwhile leaves Palatka for 9th Street south to Crill Avenue west en route to Interlachen. Photo taken 06/12/08. 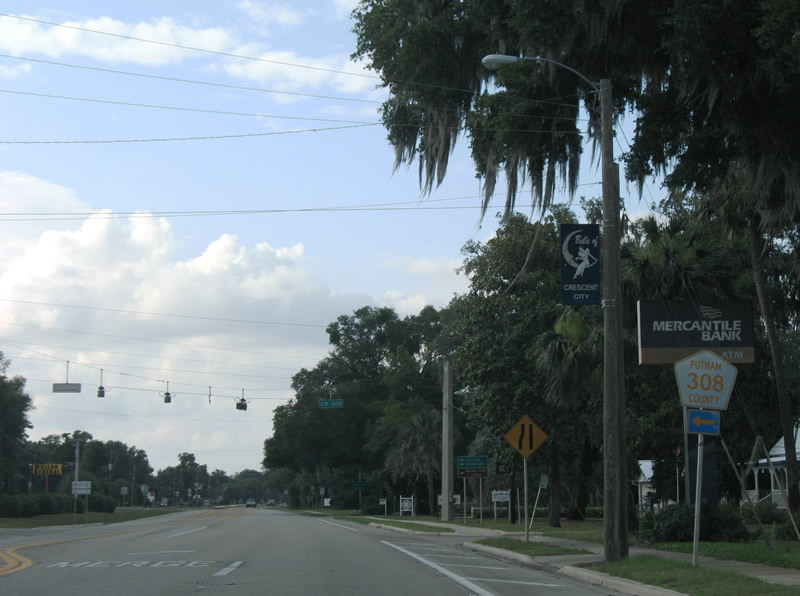 U.S. 17 north & Florida 100 westbound shield assembly posted on Reid Street west from the train station. Photo taken 06/12/08. 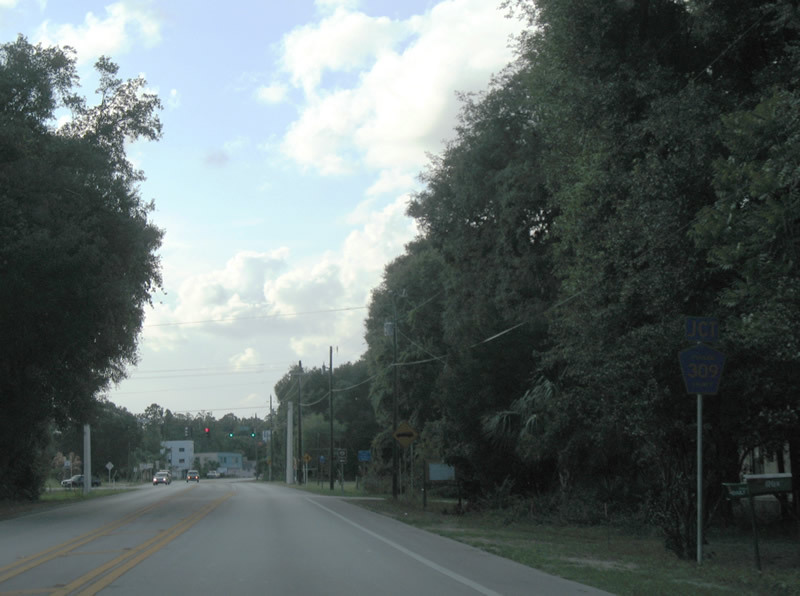 Unsigned Putnam County 1447 ties into Reid Street from North 19th Street and Old Jacksonville HIghway. 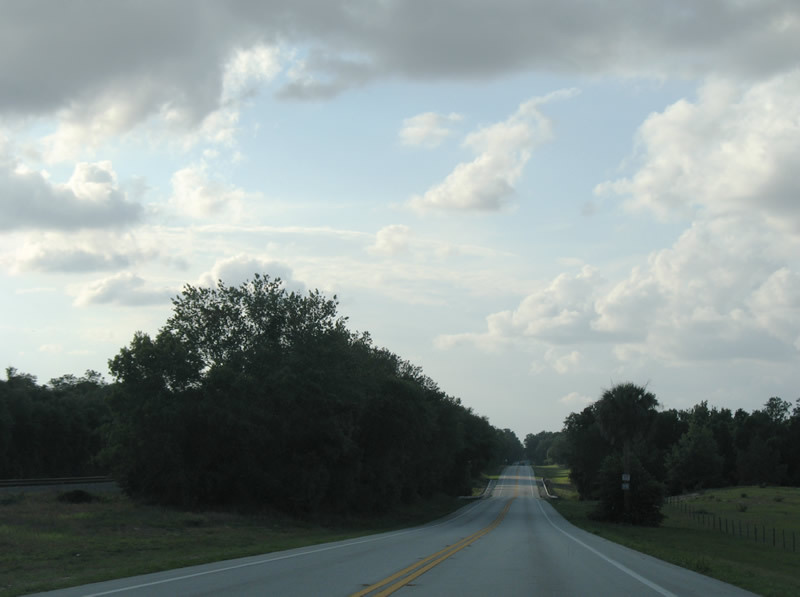 The route may represent original U.S. 17. Photo taken 06/12/08. 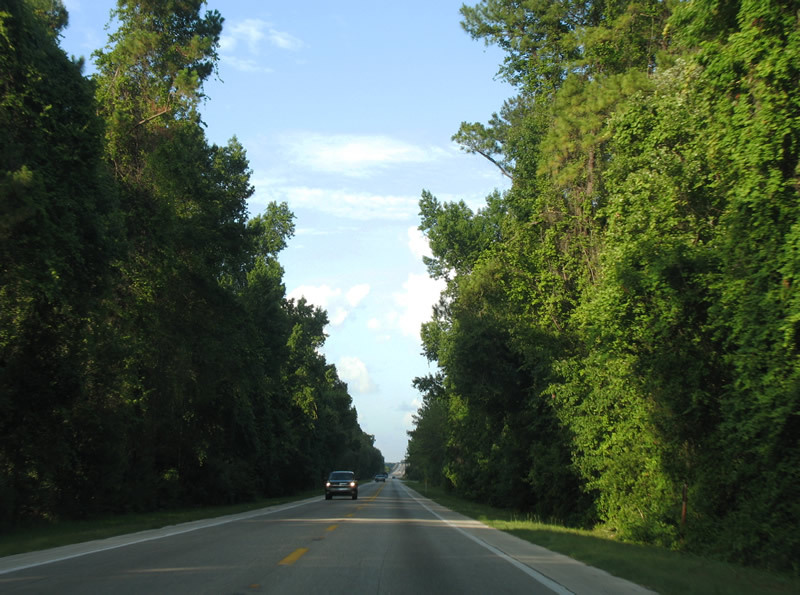 Florida 100 splits leaves U.S. 17 north via Reid Street west to Kay Larkin Airport. 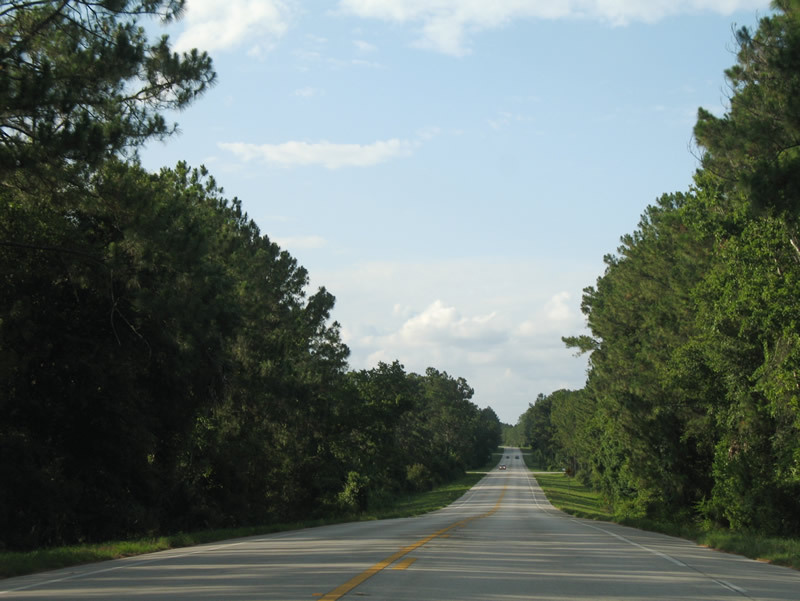 The state road continues to Keystone Heights and Starke. Photo taken 06/12/08. 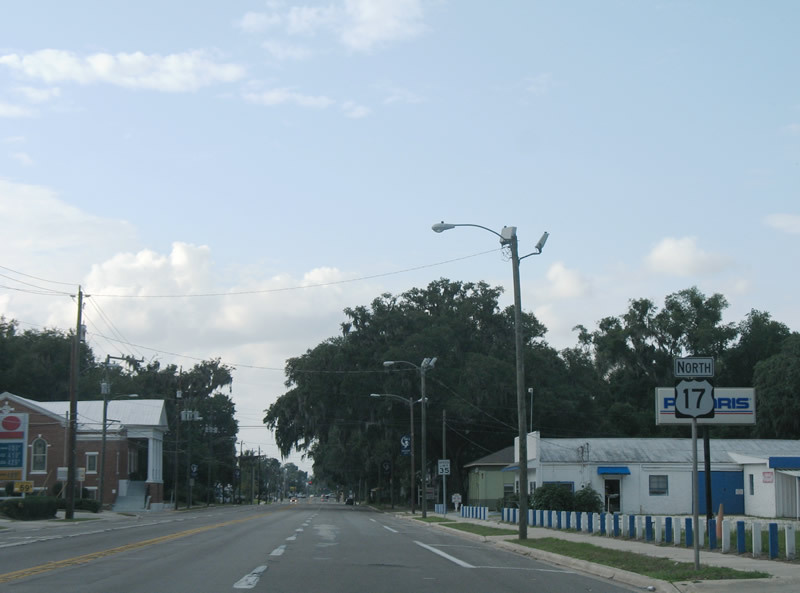 U.S. 17 resumes its northward course to Jacksonville from Florida 100 (Reid Street) in Palatka. 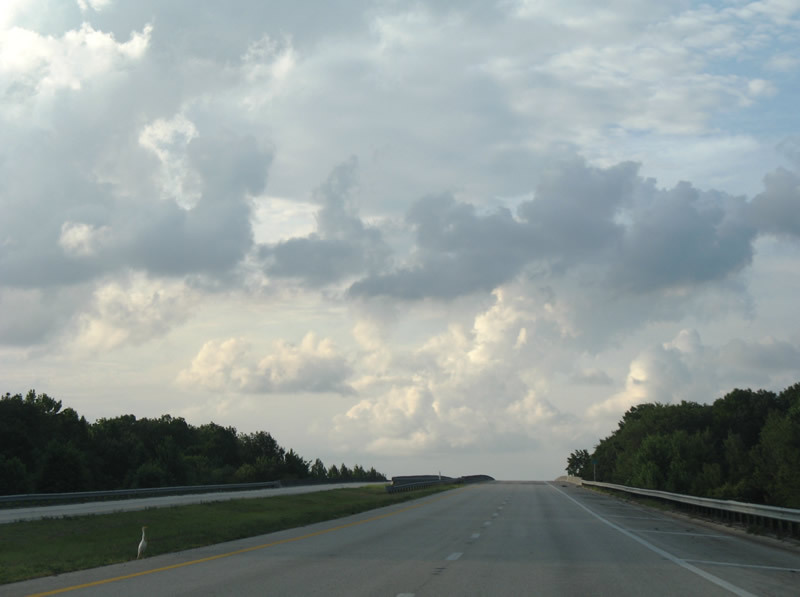 Florida 100 travels overall to Lake City and the Georgia state line as an unsigned counterpart of U.S. 41. Photo taken 06/12/08. 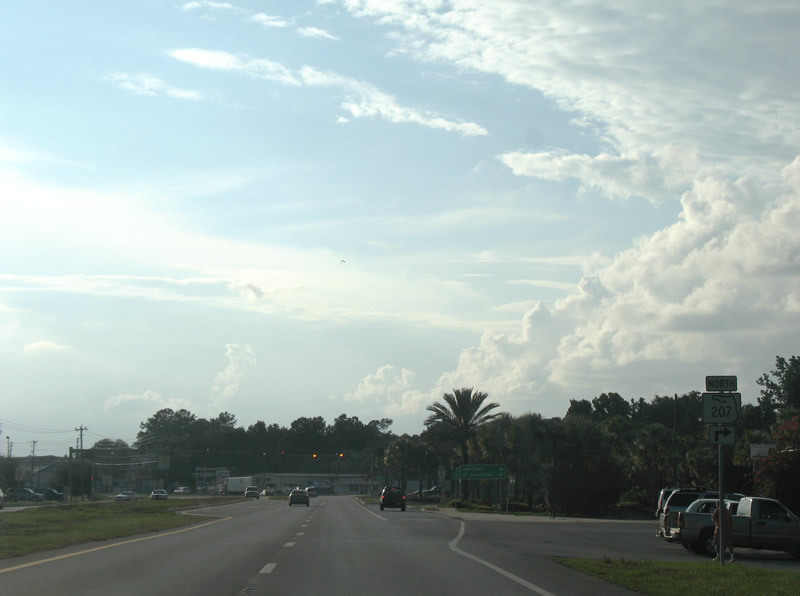 Trucking interests to Florida 20 west are directed from U.S. 17 north onto Florida 100 Reid Street) west to Florida 19, the Palatka bypass south. Photo taken 06/12/08. 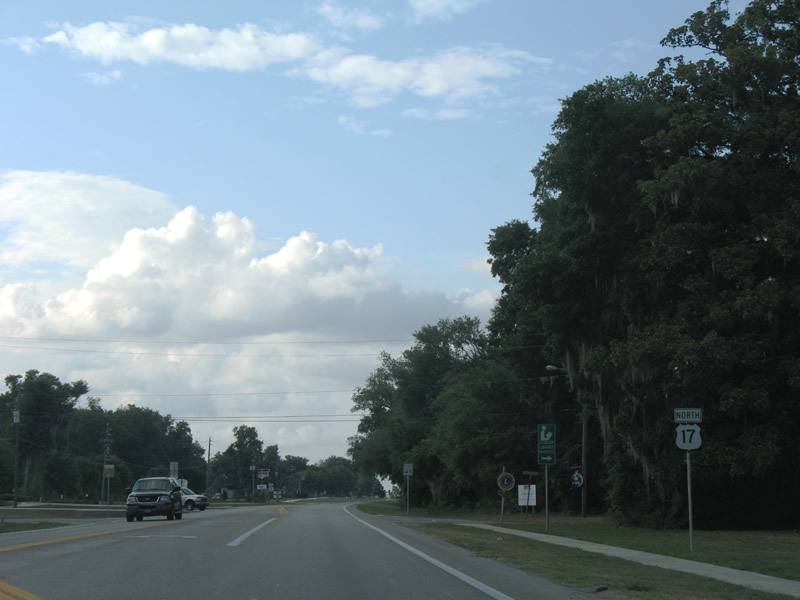 U.S. 17 turns northward from Florida 100 and retains four lanes through to Green Cove Springs. Photo taken 06/12/08. 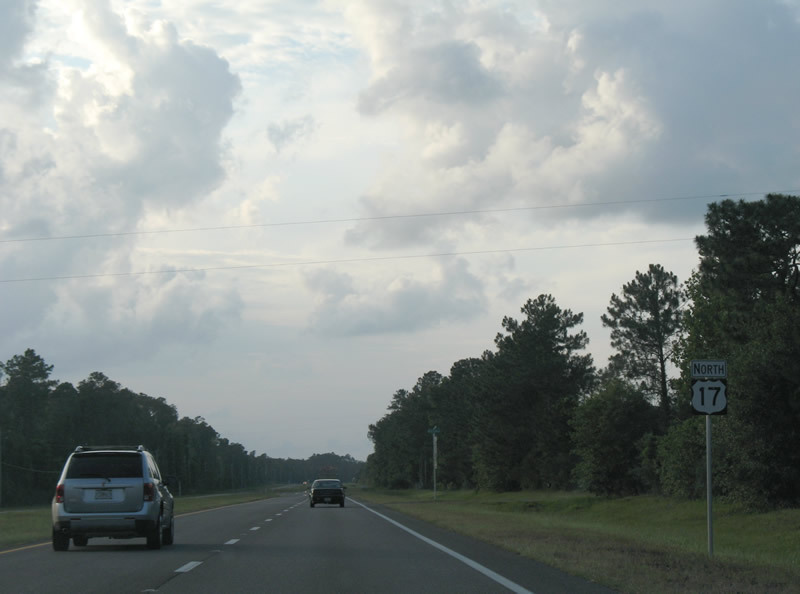 Northbound mileage sign posted after the split with Florida 100 on U.S. 17 north. 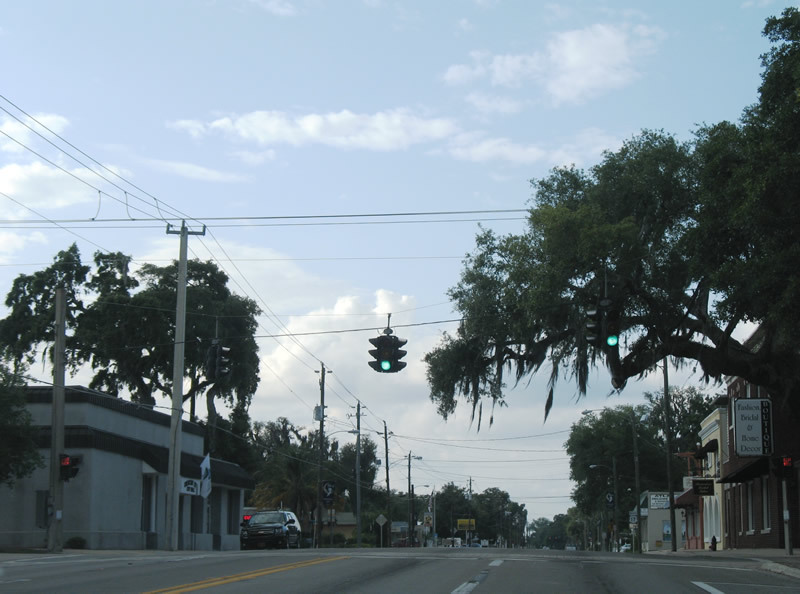 Green Cove Springs, the Clay County seat, lies 26 miles ahead. Photo taken 06/12/08. 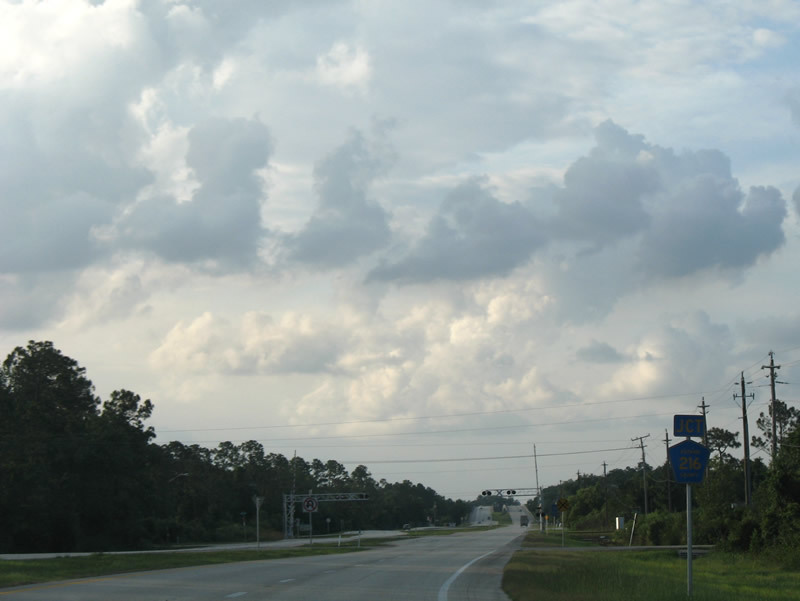 Florida 19, the west Palatka bypass, ties into and ends at U.S. 17 on the north side of town. 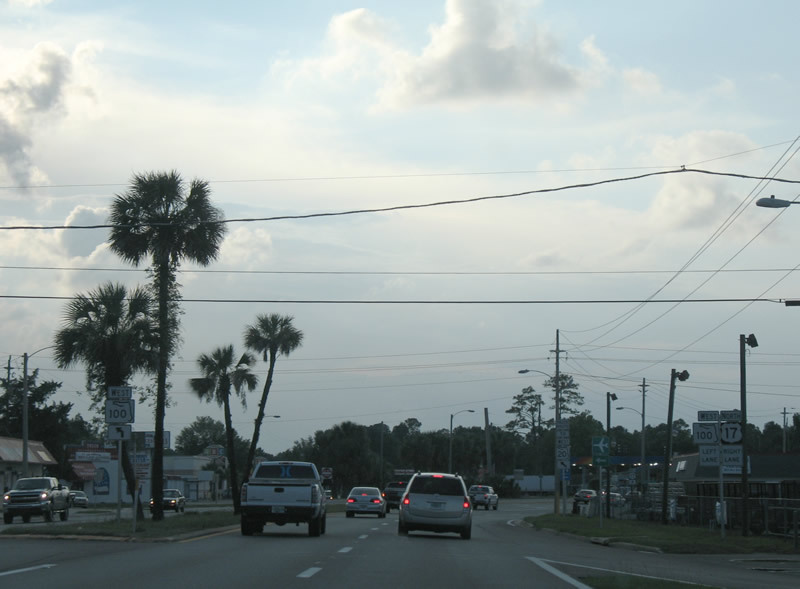 Florida 19 carries four overall lanes south to Florida 100 (Reid Street) and Florida 20 (Crill Avenue). Photo taken 06/13/08. 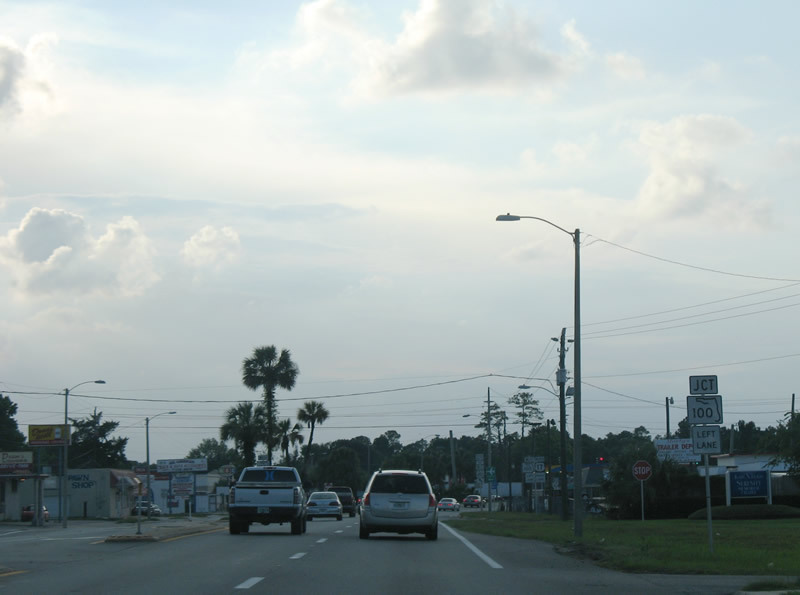 U.S. 17 north at Florida 19's northern terminus in Palatka. 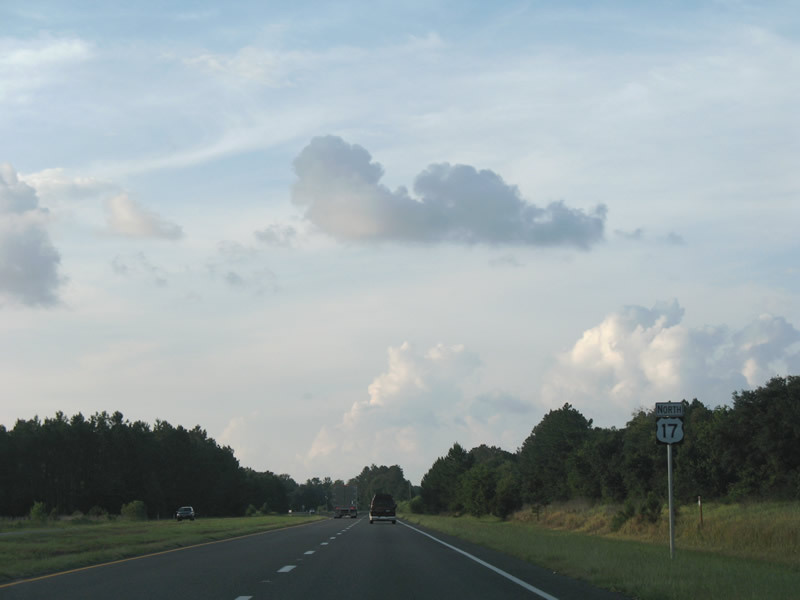 Florida 19 continues south from Palatka through Ocala National Forest to Umatilla and Eustis in Lake County. Photos taken 06/13/08. 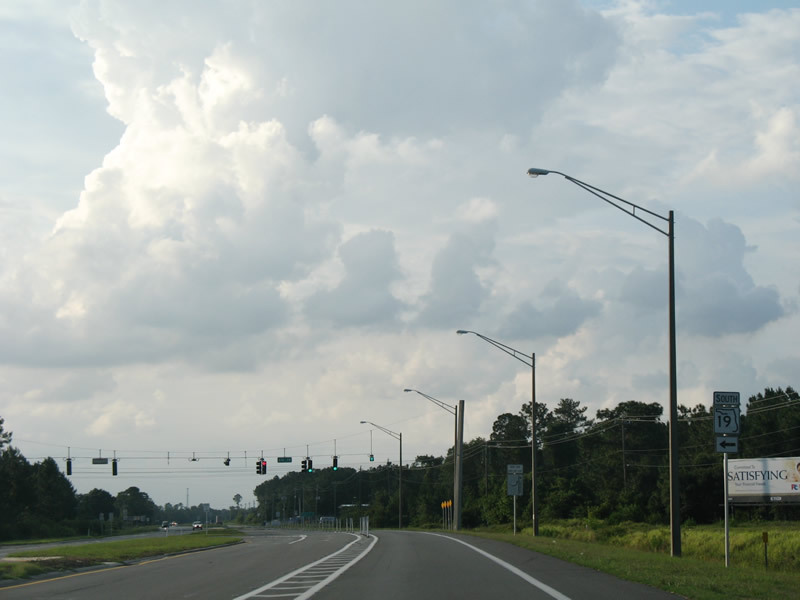 Traveling through the bypass lane of the U.S. 17 and Florida 19 intersection at the next mileage sign and reassurance shield. Photo taken 06/13/08. 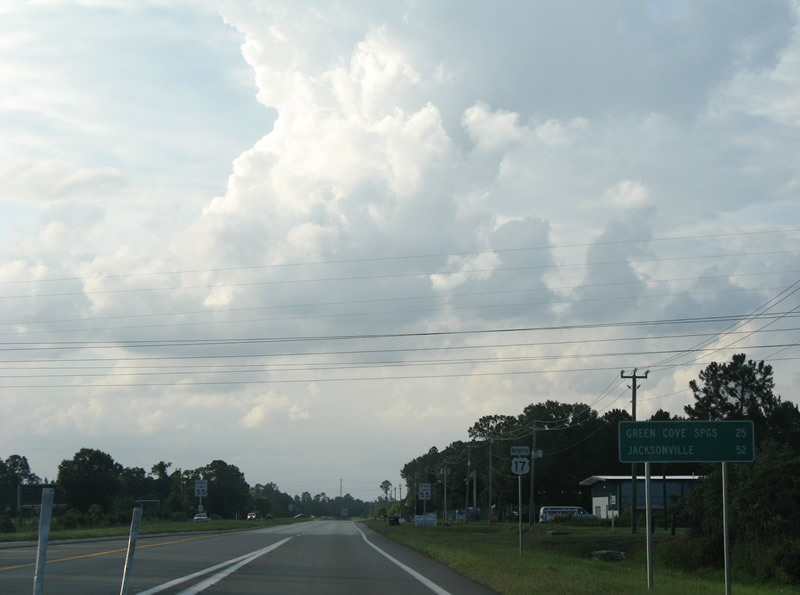 Nearing Putnam County 216 west on U.S. 17 north. Photo taken 06/13/08. 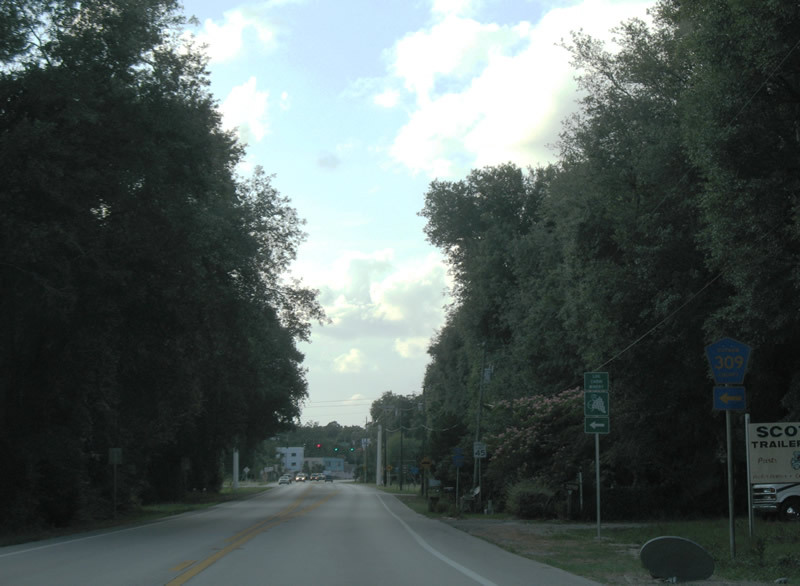 Putnam County 216 provides a second bypass of Palatka between Florida 100 and U.S. 17. 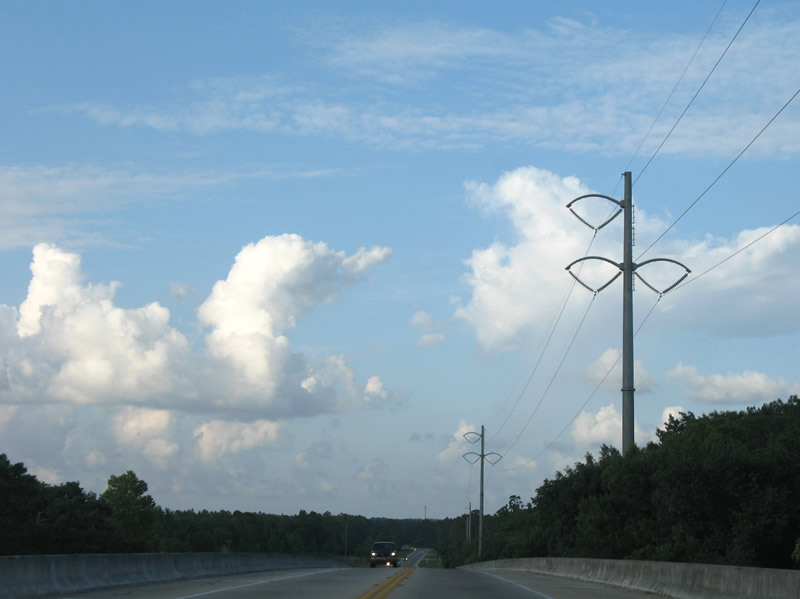 The county road serves an industrial plant along its 2.17-mile routing. Photo taken 06/13/08. 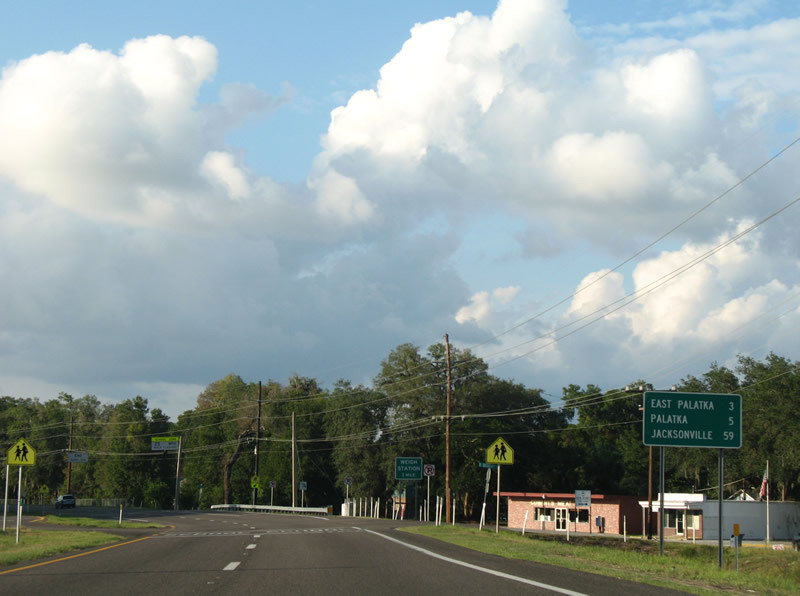 Continuing north from Putnam County 216 and the Pecan area on U.S. 17 north. Photo taken 06/13/08. 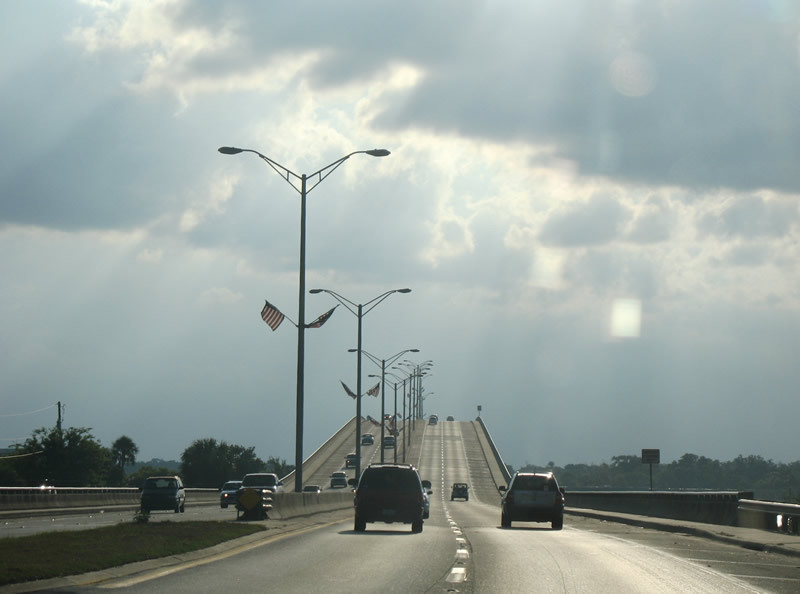 A fixed high-level bridge carries U.S. 17 motorists over Rice Creek. Rice Creek flows east into the St. Johns River from the nearby plant. Photos taken 06/13/08. Next in line for northbound drivers is the junction with Putnam County 209 (West River Road) east. Photo taken 06/13/08. 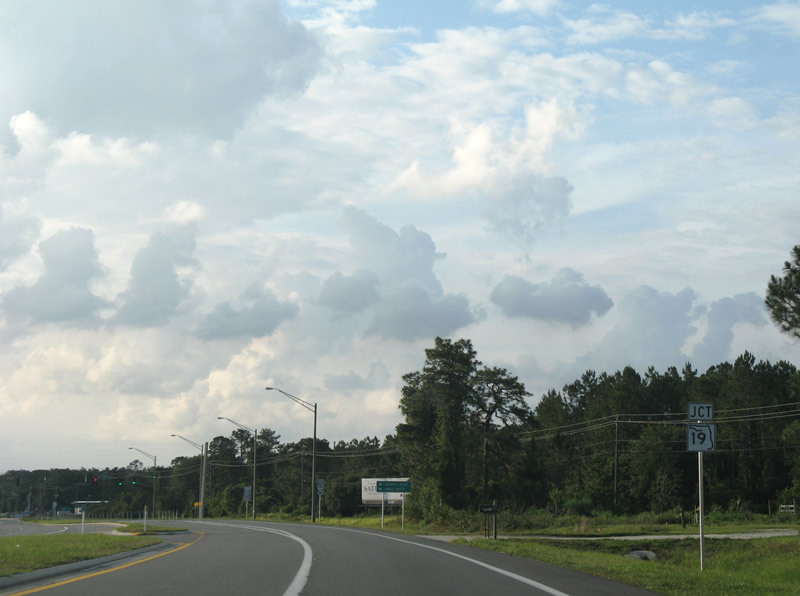 Putnam County 209 leads east and north along the western fringe of the St. Johns River to Fairview and Clay Landing before looping back west to Bostwick. Photo taken 06/13/08. 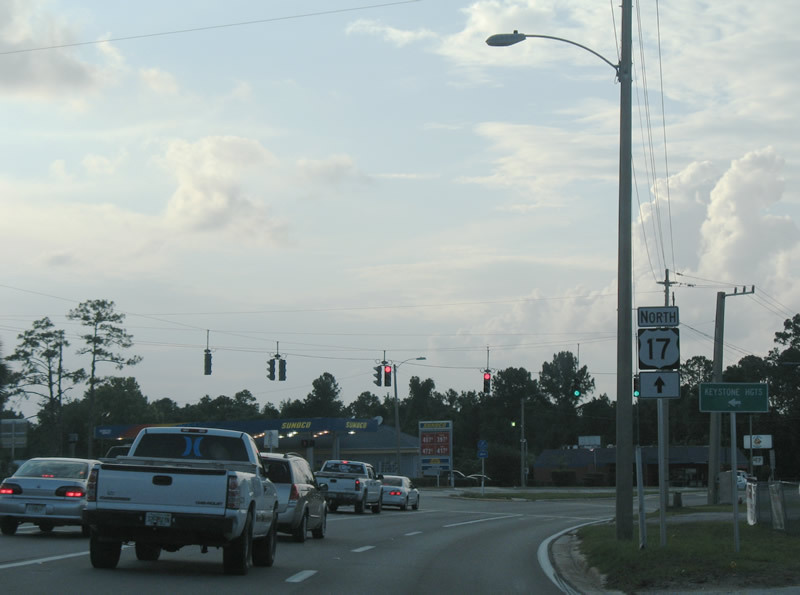 U.S. 17 northbound carries four uninterrupted lanes through the Teaside area of north Putnam County. Photo taken 06/13/08. 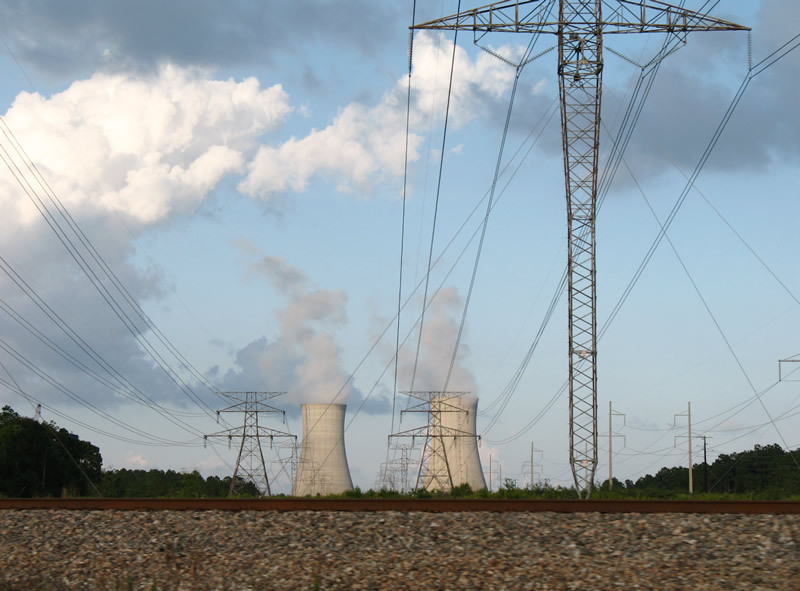 The coal-based Seminole Electric Co-Op \ Seminole Generating Station comes into view east of U.S. 17 at Teaside. Photo taken 06/13/08. Continuing north from Teaside toward the Clay County line. Photo taken 06/13/08. 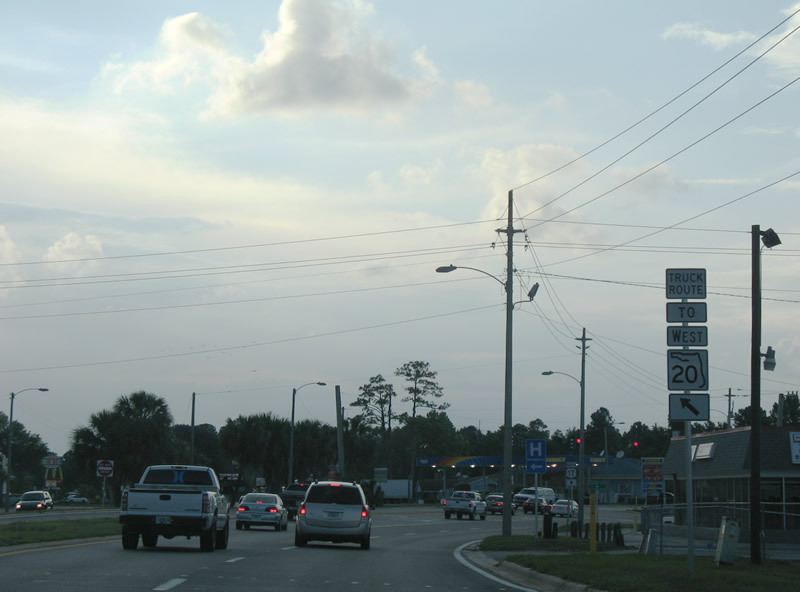 Putnam County 209 returns to U.S. 17 via Palmetto Bluff Road. Photo taken 06/13/08. 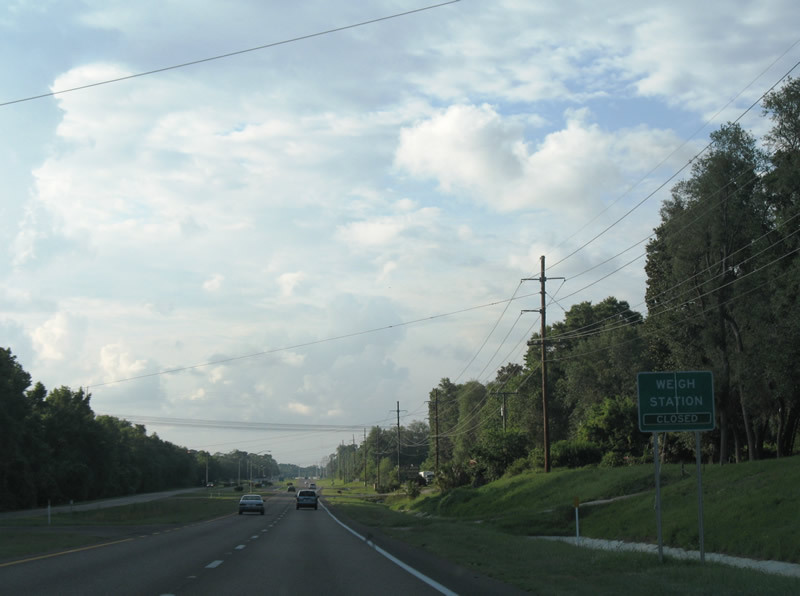 U.S. 17 north at Putnam County 209 (Palmetto Bluff Road) east into adjacent Bostwick. 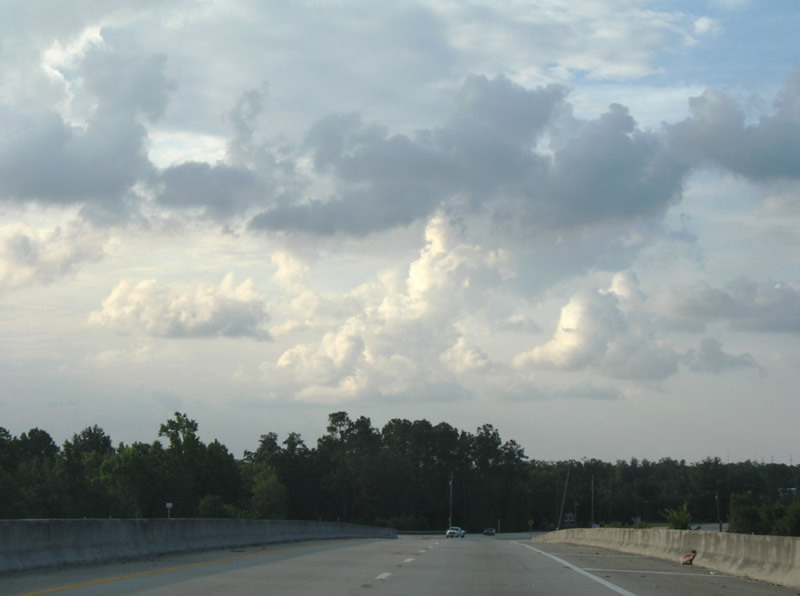 Toccoi Road leads north from Bostwick to Clay County and a second alignment of County 209. Photo taken 06/13/08. 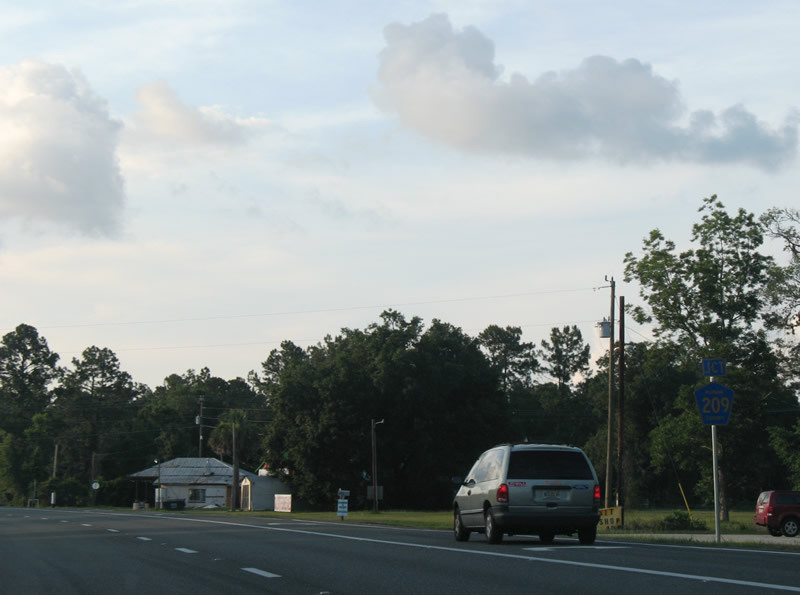 The last shield of U.S. 17 north in Putnam County. Photo taken 06/13/08. 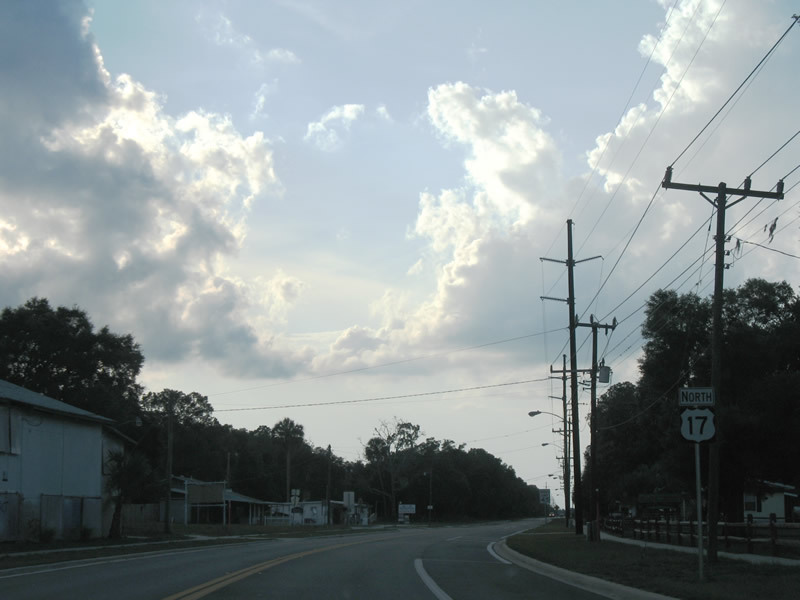 Clay County 214 ties into U.S. 17 at the county line. Photo taken 06/13/08. 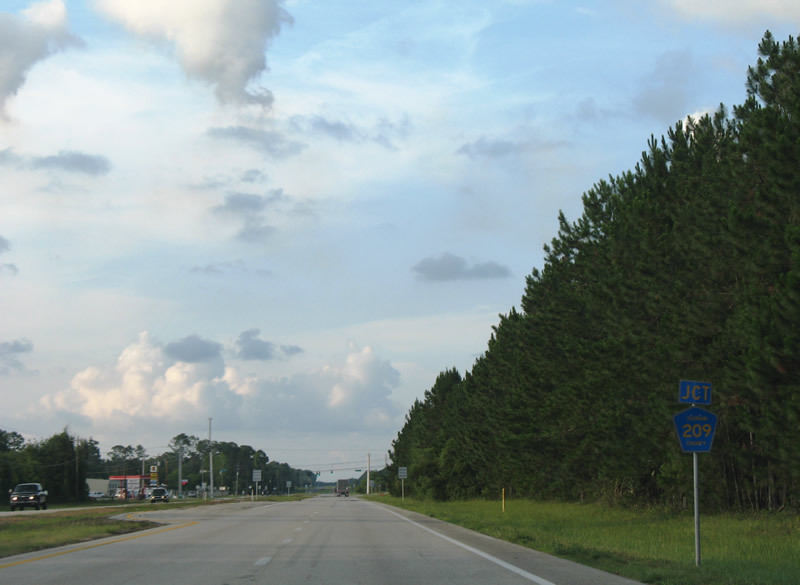 U.S. 17 north enters Clay County, which is mostly rural with the exception of the Orange Park area and southwest suburbs of Jacksonville. 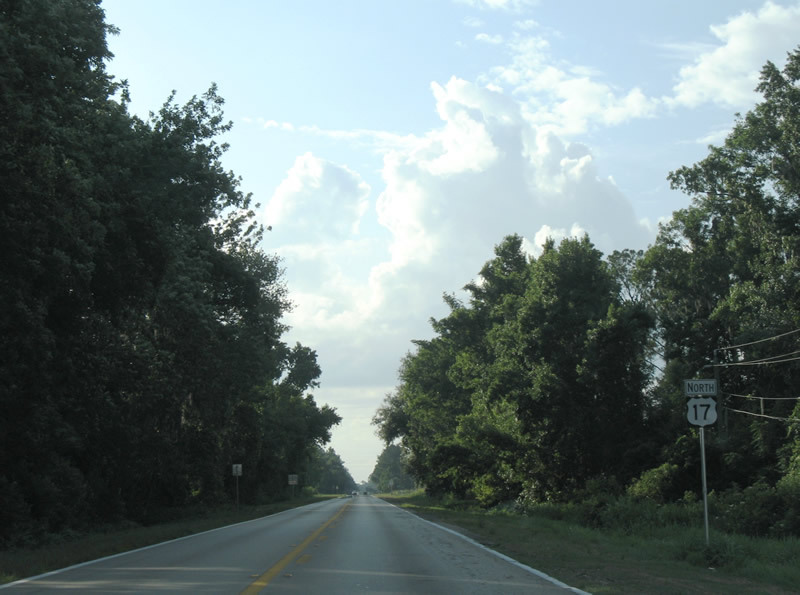 Clay County 214 straddles the county line west to Putnam County 309D (Bardin Road). Photo taken 06/13/08. Page Updated October 2, 2008.